Khashoggi had entered the consulate in order to obtain documents related to the marriage he and his fiancée were planning. Because no security camera footage of him exiting the building could be found, he was declared a missing person amid news reports claiming that he had been assassinated and dismembered inside the consulate. When the disappearance of Khashoggi was first reported by the news media, Saudi Arabia claimed he had left the consulate and denied having any knowledge about his fate. Turkish media published evidence suggesting that Khashoggi never came out of the consulate. Saudi Arabia subsequently denied any involvement in his disappearance. The international community called for accountability of those responsible for the killing and more clarity on the case from Saudi authorities. Meanwhile, the Turkish authorities reported various facts to news media from the ongoing investigation of the case that refuted Saudi claims. Saudi Arabia was placed under unprecedented scrutiny, and economic and political pressure from the international community to disclose the facts. An inspection of the consulate, by Saudi and Turkish police, took place on 15 October. Turkish prosecutors reported they found evidence of tampering during the inspection and evidence that supported the belief that Khashoggi had been killed. 18 days later the Saudi government changed their position from no involvement, and admitted that Khashoggi died inside the consulate due to strangulation after an argument and fistfight. Saudi Arabia's foreign minister called it a "rogue operation". Eighteen Saudis were arrested by Saudi authorities, including the team of 15 operatives which an anonymous Saudi official claimed General Ahmad Asiri sent to confront Khashoggi and, if necessary, detain him for return to Saudi Arabia. On 19 October, the Saudi prosecutor stated that the Saudi-Turkey joint team of investigators found evidence indicating the suspects acted with premeditated intent. The Saudi Royal family have denied ordering or sanctioning the killing. On 31 October, Istanbul's chief prosecutor released a statement stating that Khashoggi had been strangled as soon as he entered the consulate building, and that his body was dismembered and disposed of. Turkish officials released an audio recording of Khashoggi's killing that they alleged contained evidence that Khashoggi had been assassinated on the orders of Saudi Crown Prince Mohammed bin Salman. Several days later, on 16 November, Central Intelligence Agency members who internally analyzed multiple sources of intelligence concluded that Mohammed bin Salman ordered Khashoggi's assassination. On 20 November, US President Donald Trump disputed the CIA assessment and stated that the investigation into Khashoggi's death had to continue. On 15 November 2018, the Saudi prosecutor's office said eleven Saudi nationals had been indicted and charged with murdering Khashoggi and that five of them would face the death penalty, since it had been determined they were directly involved in "ordering and executing the crime". It alleged that shortly after Khashoggi entered the Saudi Consulate in Istanbul, he was bound and then injected with a fatal sedative overdose. His body was dismembered and removed from the consulate by five suspects and given to a local collaborator for disposal. Saudi officials continued to deny that the Saudi Royal Family was involved in, ordered, or sanctioned the killing. Germany, Norway and Denmark have stopped the sale of arms to Saudi Arabia over the incident, and Canada is considering freezing its arms deal. On 11 December 2018, Khashoggi was named person of the year by Time Magazine for his work in journalism, along with other journalists who faced political persecution for their work. Time referred to Khashoggi as a "Guardian of the Truth". Khashoggi was a Saudi journalist, author, and a former general manager and editor-in-chief of Al-Arab News Channel. He also served as editor for the Saudi newspaper Al Watan, turning it into a platform for Saudi progressives. Khashoggi fled Saudi Arabia in June 2017 and went into self-imposed exile in the US. He became a frequent contributor to publications like the Washington Post's global opinions section and continued to criticize the Saudi government from afar. He had been sharply critical of Saudi Arabia's crown prince, Mohammad bin Salman, and the country's king, Salman of Saudi Arabia. He also opposed the Saudi Arabian-led intervention in Yemen. He said, "The government banned me from Twitter when I cautioned against an overly enthusiastic embrace of then-President-elect Donald Trump." In September 2017, the Washington Post published its first column by Khashoggi, in which he criticized the prince and the kingdom's direction and advocated for reform in his country. Once Khashoggi's collaboration with the Washington Post started, he was harassed via Twitter from pro-regime bot accounts commonly known as "the electronic flies". The "lord of the flies", the man who ran social media for crown prince Mohammed, was Saud al-Qahtani. The crown prince Mohammed ordered a zero-tolerance campaign against dissents, spearheaded by Qahtani, who is implicated in the murder of Khashoggi. Right before his assassination, Khashoggi was launching projects to combat online abuse in an attempt to consolidate the opposition and accuse crown prince Mohammed of mismanaging the Kingdom of Saudi Arabia (KSA). Khashoggi collaborated with Omar Abdelaziz, one of most visible public critics of the Saudi regime abroad who had received asylum in Canada, on a range of projects. One project was named Geish al-Nahl جيش النحل (Army of the Bees or The Bees Army). They wanted to create a counterpoint to the regime's propaganda machine – "a network of pro-democracy activists who would post and amplify one another's messages about Saudi political issues". Abdulaziz said they wanted "to talk about the dissidents, the political prisoners, freedom of speech, human rights" and "make people aware of what's really happening". And the Bee Movement should also provide cybersecurity to "people living in Saudi Arabia and other oppressive regimes in the Middle East" in need of a safe way to express themselves. As Khashoggi wrote in his last, posthumously published, column, he was of the opinion that "What the Arab world needs most is free expression". Khashoggi and Abdelaziz were also working on a short film, showing how the Saudi leadership was dividing the country, a website tracking human rights and the new foundation "Democracy for the Arab World Now" (DAWN) Khashoggi was forming. They tried to keep their work secret from Saudi persecution. In late September 2018, Khashoggi met with friends in London to discuss his various plans. In summer 2018, Abdulaziz's cellphone was infected with a surveillance tool. This was first revealed on 1 October 2018 in a detailed forensic report by Citizen Lab, a University of Toronto project that investigates digital espionage against civil society. Citizen Lab concluded with a "high degree of confidence" that his cellphone was successfully targeted with NSO Group's Pegasus spyware and attributed this infection to an operator linked to "Saudi Arabia's government and security services". NSO's Pegasus, of which KSA has emerged as one of its biggest operators, is one of the most advanced spyware tools available. It is designed to infect cell phones without being detected. Among other known cases, KSA is believed to have used NSO software to target London-based Saudi dissident Yahya Assiri, a former Royal Saudi Air Force officer and founder the human rights organisation ALQST and an Amnesty International researcher. Through their sophisticated spyware attack on Abdulaziz's phone, the Saudi regime would have had a direct line into Khashoggi's private thoughts, and access to hours of conversations between the two men. Abdulaziz recalled: "Jamal was very polite in public, but in private, he spoke more freely – he was very very critical of the crown prince." On 21 September, just eleven days before Khashoggi was murdered in the Saudi consulate, he made a declaration of support for the Bees Movement. Using the Bee Army's first hashtag "what do you know about bees" he tweeted "They love their home country and defend it with truth and rights". Marc Owen Jones, an assistant professor at Hamad Bin Khalifa University in Doha who researched Arab propaganda and has monitored Saudi Twitter bots for two years, said he has seen a massive surge in pro-regime Twitter activity, and in the creation of troll accounts, since Khashoggi went missing: "There was such a huge spike in October in bot accounts and the use of the hashtags praising the crown prince, it's absurd". After Khashoggi's assassination, the Saudi cyber-operations were the focus of global scrutiny. The Government of Canada started an investigation in to those malicious cyberattacks. In December 2018 Omar Abdulaziz granted CNN access to his text messages with Jamal Khashoggi, where the two discussed their sharp criticism and political opposition to Mohammed bin Salman. Abdulaziz filed a lawsuit against an Israeli company NSO Group Technologies that allowed his smartphone to be taken over and his communications to be spied on by the Saudi regime. The Washington Post reported on 10 October 2018 that U.S. intelligence intercepted communications of Saudi officials discussing a plan ordered by the Crown Prince Bin Salman, to capture Khashoggi from his home in Virginia. The intercepted communications were regarded as significant because Khashoggi had bought a home in McLean, Virginia, where he lived after fleeing the KSA. Khashoggi had obtained an O visa – also known as the "genius" visa, that offers individuals of "extraordinary ability and achievement" in the sciences, arts, education, and other fields and are recognized internationally – he had applied for permanent residency status, and three of his children were US citizens. As a legal resident of the United States Khashoggi was entitled to protection. Under a directive adopted in 2015, the US intelligence community has a "duty to warn" people – including those who are not US citizens – who are at risk of being kidnapped or killed. This directive was a central aspect of the conversation about the US's response to Khashoggi's disappearance. Khashoggi had applied for U.S. citizenship and was offered and he accepted a position as a fellow at the Woodrow Wilson International Center for Scholars (or Wilson Center), located in Washington, D.C. According to the National Security Agency (NSA) officials, the White House was warned of this threat through official intelligence channels. The Office of the Director of National Intelligence (DNI) of Dan Coats declined to comment on why Khashoggi was not warned. 55 members of Congress demanded in a letter clarity from DNI Dan Coats on what the intelligence community knew about the risk Khashoggi faced before his disappearance and whether American officials attempted to notify him that his life was in danger. In the letter, they sought insight into everything the NSA knows about phone calls and emails from Saudi officials on the Khashoggi case. The Knight First Amendment Institute at Columbia University filed a lawsuit against five US intelligence services "seeking immediate release of records concerning U.S. intelligence agencies' compliance or non-compliance with their 'duty to warn' reporter Jamal Khashoggi of threats to his life or liberty". The Committee to Protect Journalists joined the legal effort. Over the year 2017, the House of Saud appealed to Khashoggi to return to Riyadh and resume his services as a media advisor to the royal court. But he declined in fear that it was a ruse and that upon returning he would be imprisoned or worse. Khashoggi met with crown prince Mohammed's brother Prince Khalid at the Saudi embassy in Washington, in "early 2018 or late 2017." In September 2018 Khashoggi visited the Saudi embassy in Washington to retrieve paperwork for his pending marriage to his Turkish fiancée, Hatice Cengiz, he tried to complete everything in the U.S. but was instead lured to the Saudi Arabian consulate in Turkey, where his fiancée lived. Khashoggi's first visit to the Saudi consulate in Istanbul was on 28 September 2018 – where he showed up unannounced. Having divorced his wife, who had remained in Saudi Arabia, he went to the consulate to obtain a document certifying that he was no longer married so he could marry his Turkish fiancée. Before that visit he "sought assurances about his safety from friends in the US" and instructed his fiancée to contact Turkish authorities if he failed to emerge. He received a warm welcome from officials, and was told to return to the consulate on 2 October. "He was very pleased with their nice treatment and hospitality", she later said. On 29 September Khashoggi traveled to London and spoke at a conference. On 1 October Khashoggi returned to Istanbul, and he told a friend that he was worried about being kidnapped and sent back to KSA. Meanwhile, at around 16:30, a three-person Saudi team arrived in Istanbul on a scheduled flight, checked in to their hotels then visited the consulate, according to President Erdogan. Another group of officials from the consulate traveled to a forest in Istanbul's outskirts and to the nearby city of Yalova on a "reconnaissance" trip. Erdogan said a "road map" to kill Khashoggi was devised in Saudi Arabia during this time. In the night of 2 October, a 15-member group arrived from Riyadh on two private Gulfstream jets. On 2 October 2018 CCTV showed the suspected agents entering the consulate around noon. Khashoggi arrived about an hour later, accompanied by his fiancée Cengiz, whom he entrusted with two cell phones while she waited outside for him. He entered the consulate, through main entrance, at around 1 pm. As he had not come out by 4 pm, even though the working hours of the consulate were until 3:30 pm, Cengiz contacted the authorities, phoning Khashoggi's friend, Yasin Aktay, an adviser to President Erdogan, reported him missing and the police then started an investigation. The Saudi government said that he had left the consulate via a back entrance. The Turkish government first said that he was still inside, and his fiancée and friends said that he was missing. Turkish authorities have claimed that security camera footage of the day of the incident was removed from the consulate and that Turkish consulate staff were abruptly told to take a holiday on the day Khashoggi disappeared while inside the building. Turkish police investigators told the media that the recordings from the security cameras did not show any evidence of Khashoggi leaving the consulate. A security camera was located outside the consulate's front which showed him entering but not leaving, while another camera installed at a preschool opposite the rear entrance of the consulate also did not show him leaving. The disappearance presented Turkish officials with a sharp diplomatic challenge. Jamal Elshayyal reported Turkish authorities were trying to walk a fine line so as not to damage the Turkish-Saudi relationship: "There is an attempt by the Turkish government to try to find a way out of this whereby there isn't a full collapse of diplomatic relations, at least a temporary freeze between Saudi Arabia and Turkey. Because, if indeed, Turkish authorities can prove unequivocally that Saudi agents essentially murdered a journalist inside the consulate in Istanbul, it would require some sort of strong reaction." Analysts have suggested that Khashoggi may have been considered especially dangerous by the Saudi leadership not because he was a long-time dissident, but rather, a pillar of the Saudi establishment who had been close to its ruling circles for decades, had worked as an editor at Saudi news outlets and had been an adviser to a former Saudi intelligence chief Turki bin Faisal Al Saud. According to numerous anonymous police sources, the Turkish police believe that Khashoggi was tortured and killed inside the Saudi consulate in Istanbul by a 15-member team brought in from Saudi Arabia for the operation. One anonymous police source claimed that the dead body was "cut into pieces" and quietly moved out of the consulate, and that all of this was "videotaped to prove the mission had been accomplished and the tape was taken out of the country". Middle East Eye cited an anonymous Saudi who said the Tiger Squad brought Khashoggi's fingers to Mohammad bin Salman in Riyadh as other evidence that the mission was successful. On 7 October, Turkish officials pledged to release evidence showing that Khashoggi was killed. Yasin Aktay, an adviser to the Turkish president, initially said he believed Khashoggi had been killed in the consulate, but on 10 October he claimed that "the Saudi state is not blamed here", something that a journalist for The Guardian saw as Turkey trying not to harm lucrative trade ties and a delicate regional relationship with Saudi Arabia. Turkey then claimed to have audio and video evidence of the killing occurring inside the consulate. U.S. President Donald Trump said the United States had asked Turkey for the recordings. According to "people familiar with the matter", the audio was shared with Central Intelligence Agency agents; a CIA spokeswoman declined to comment. CNN reported on 15 October that Saudi Arabia was about to admit to the killing, but would claim that it was an "interrogation gone bad", as opposed to a targeted death squad killing. This claim drew criticism from some, considering that Khashoggi was reportedly dismembered and that his killing was allegedly premeditated, and the circumstances, including the arrival and departure of a team of 15, included forensic specialists presumed to have been present to hide evidence of the crime, on the same day. The next day, Middle East Eye reported that, according to an anonymous Turkish source, the killing took about seven minutes and forensic specialist Salah Muhammed al-Tubaigy, who had brought along a bone saw, cut Khashoggi's body into pieces while Khashoggi was still alive, as he and his colleagues listened to music. The source further claimed that "Khashoggi was dragged from consul general Mohammad al-Otaibi's office at the Saudi consulate ... Tubaigy began to cut Khashoggi's body up on a table in the study while he was still alive," and "There was no attempt to interrogate him. They had come to kill him." The Turkish pro-government newspaper Daily Sabah reported on 18 October that neighbours to the consul's residence had observed an unusual barbecue party, which the paper suggested might have been to smoke-screen the smell from the incineration of the dismembered corpse: "We have been living here for twelve years but I have never seen them having a barbecue party. That day, they had a barbecue party in the garden." The Wall Street Journal published reports from anonymous sources that Khashoggi was tortured in front of top Saudi diplomat Mohammad al-Otaibi, Saudi Arabia's consul general. Reuters reported that al-Otaibi left Istanbul for Riyadh on 16 October. His departure came hours before his home was expected to be searched in relation to the journalist's disappearance. On 20 October, the Saudi Foreign Ministry reported that a preliminary investigation showed that Khashoggi had died at the consulate while engaged in a fight, the first Saudi acknowledgement of Khashoggi's death. On 20 October Saud al-Qahtani and Ahmad Asiri were announced fired by Saudi Arabia for involvement in Khashoggi's killing according to the BBC. On 21 October, an anonymous Saudi official said Khashoggi had been threatened with drugging and kidnapping by Maher Mutreb, had resisted and was restrained with a chokehold, which killed him. On 22 October, Reuters cited a Turkish intelligence source and a high-ranking Arab with access to intelligence and links to members of Saudi's royal court and reported that Saud al-Qahtani, the then-top aide for Mohammed bin Salman, had made a Skype call to the consulate while Khashoggi was held in the room. Qahtani reportedly insulted Khashoggi, who responded in kind. According to the Turkish source, Qahtani then asked the team to kill Khashoggi. Qahtani instructed: "Bring me the head of the dog". According to both sources, the audio of the Skype call is currently with Erdogan. According to Nazif Karaman of the Daily Sabah, the audio recording from inside the consulate revealed that Khashoggi's last words were: "I'm suffocating... take this bag off my head, I'm claustrophobic." On 10 December, the details of the transcript of the audio were described to CNN by an anonymous source. On 16 November, a Hürriyet columnist reported that Turkey has more evidence, including a second audio recording from the consulate, where the Saudi team review the plan how to execute Khashoggi. He also reported that: "Turkish officials also did not confirm [Saudi prosecutor's claim] that Khashoggi was killed after they gave him a fatal dose of drug. They say that he was strangulated with a rope or something like a plastic bag." Hatice Cengiz begged the US government to take action in helping to find her fiancé. In her Washington Post op-ed on 9 October, Cengiz wrote, "At this time, I implore President Trump and first lady Melania Trump to help shed light on Jamal's disappearance. I also urge Saudi Arabia, especially King Salman and Crown Prince Mohammed bin Salman, to show the same level of sensitivity and release CCTV footage from the consulate." Sabah reported on 11 October that Turkish officials were investigating whether Khashoggi's Apple Watch would reveal clues as to what happened to him inside the Saudi consulate, examining whether data from the smartwatch could have been transmitted to the cloud, or his personal phone, which was with Cengiz. On the evening of 14 October, President Erdoğan and King Salman announced that a deal had been made for a "jointing working group" to examine the case. On 15 October the Turkish Foreign Ministry announced that an "inspection" of the consulate, by both Turkish and Saudi officials, would take place that afternoon. According to an anonymous source from the Attorney General's office, Turkish officials found evidence of "tampering" during the inspection, and evidence that supports the belief Khashoggi was killed. President Erdoğan said that "investigation is looking into many things such as toxic materials and those materials being removed by painting them over". 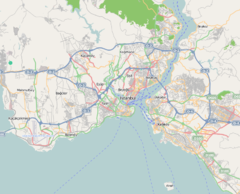 According to anonymous sources, Turkish police have expanded the search, as Khashoggi's body may have been disposed of in nearby Belgrad Forest or on farmland in Yalova Province, as indicated by the movement of the Saudi vehicles, and DNA tests of samples from the Saudi consulate and the consul's residence are being conducted; Al Jazeera reported that according to anonymous sources, fingerprints of one of the alleged perpetrators, Salah Muhammad al-Tubaigy, were found in the consulate. On 20 October, the Saudi Foreign Ministry reported that a preliminary investigation showed that Khashoggi had died at the consulate while engaged in a fight, the first Saudi acknowledgement of Khashoggi's death. On 22 October, six US and Western officials stated they believed that the crown prince Mohammad bin Salman, because of his role overseeing the Saudi security apparatus, was ultimately responsible for Khashoggi's disappearance, and the Director of the Central Intelligence Agency (CIA), Gina Haspel, departed for Turkey to work on the investigation "amid a growing international uproar over Saudi's explanation of the killing". The Governor of İstanbul's office said that Khashoggi's fiancée, Hatice Cengiz, had been given 24-hour police protection. Also on 22 October, CNN aired CCTV law enforcement footage from the Turkish authorities, showing the Saudi agent Mustafa al-Madani, a member of the 15-man team, leaving the consulate by the back door. He was dressed up in Khashoggi's clothes, except for the shoes. Madani had also put on a fake beard that resembled Khashoggi's facial hair, his glasses and his Apple Watch. Madani, who was of similar age, height, and build to Khashoggi, left the consulate from its back door. He was later seen at Istanbul's Blue Mosque, where he went to a public bathroom and changed back to his own clothes and discarded Khashoggi's clothes. Later he was seen dining with another Saudi agent, and the footage shows him smiling and laughing. An anonymous Turkish official believes that Madani was brought to Istanbul to act as a body double and that "You don't need a body double for a rendition or an interrogation. Our assessment has not changed since October 6. This was a premeditated murder, and the body was moved out of the consulate." The use of the body double might have been an attempt to lend credence to the Saudi government's first version of events: that Khashoggi walked out through the back not long after he arrived. But "it was a flawed body double, so it never became an official part of the Saudi government's narrative", a Turkish diplomat told The Washington Post. The body double footage bolstered Turkish claims that the Saudis always intended either to kill Khashoggi or move him back to Saudi Arabia. Ömer Çelik, a spokesman for Turkey's ruling AKP, stated: "We are facing a situation that has been monstrously planned and later tried to be covered up. It is a complicated murder." Saudi Arabia has vowed it will conduct a thorough criminal investigation and deliver justice for Khashoggi, Turkish investigators have been faced with several delays from their Saudi counterparts. 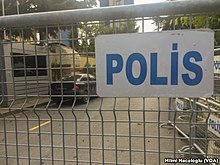 On 22 October, BBC reported that Turkish police had found a car with diplomatic number plates, abandoned in an underground car park in Istanbul. The car belonged to the Saudi consulate and permission was sought from the Saudi diplomats to search the car. Turkish media published a video from 3 October (day after the disappearance) that apparently showed the staff of the consulate burning documents. On Sunday 7 October, the Turkish Ministry of Foreign Affairs summoned Saudi Arabian Ambassador Waleed A. M. Elkhereiji to demand for the second time permission to search the consulate building. Saudi officials continued to refuse that Turkish police could search the well in the Saudi consul's garden, but granted permission on 24 October (22 days after the assassination). Turkish newspaper Hürriyet reported on 26 October that police had found no DNA traces of Khashoggi in water samples taken from the well. Calling for an international investigation, at the Headquarters of the United Nations in New York City on 25 October, Agnes Callamard, UN Special Rapporteur on Extrajudicial, Summary or Arbitrary Executions, explained the Saudi officials implicated in the death of Khashoggi "are high enough to represent the state". "Even Saudi Arabia has admitted that the crime was premeditated ... From where I sit, this bears all the hallmarks of extrajudicial executions. Until I am proven otherwise I must assume that this was the case. It is up to the Kingdom of Saudi Arabia to prove that it was not." Saudi public prosecutor Saud al-Mojeb arrived in Istanbul on 28 October, days after he contradicted weeks of official Saudi statements by saying that Khashoggi's murder was premeditated. His trip came amid Turkish suggestions of "a lack of cooperation by the Saudi side" and alleged "attempts to spoil evidence". Mojeb held talks on 29 October with Istanbul's chief prosecutor Irfan Fidan at the Çağlayan courthouse. During the meeting Saudi officials asked for the complete investigation folder, including evidence, statements and footage. The Turkish investigators presented the probe findings in a 150-page dossier, but refused to share all the evidence they have compiled in the murder. And they repeated the request for the extradition of the 18 suspects to Turkey, although the Saudi foreign minister Adel al-Jubeir insisted on 27 October that the men would be tried on Saudi soil. They also repeated requests for confirmation on the whereabouts of Khashoggi's body, the identity of the "local cooperator" that the Saudis claim disposed of the body, and an update on the progress of a Saudi investigation of the 15 Saudi operatives who visited the Istanbul consulate at the time of the murder. Due the lack of trust between the two countries the meeting lasted only 75 minutes. Turkish foreign minister Mevlut Cavusoglu stated that "The whole truth must be revealed" and the visit will help in that direction. He also asked Saudis to complete the investigation sooner. Mojeb held a second round of talks with Fidan on 30 October, before inspecting the Saudi consulate in the Levent neighbourhood, where he left after spending a little over an hour. According to a source at the prosecutor's office, Fidan asked Mojeb to conduct another joint search at the consul-general's residence, because when Turkish investigators first entered the building in mid-October they were not allowed to search three locked rooms and were also not allowed to search a 20-metre (66 ft)-deep well. The Saudis did not let firefighters descend into the well, and the search ended with police only able to obtain some water samples. President Erdoğan said the investigation needs to be completed swiftly: "This needs to be solved now; there is no point in excuses", and wants an extradition request for 18 suspects detained in KSA to be put on trial in Istanbul. High Commissioner for Human Rights, Michelle Bachelet, also urged Saudi Arabia to reveal the location of Khashoggi's body: "I urge the Saudi authorities to reveal the whereabouts of his body without further delay or prevarication." Mojeb was accused by Erdoğan of refusal to cooperate during his visit to discuss the investigation. Erdoğan stated that, "The prosecutor came to Turkey to make excuses, make things difficult." Mojeb had not shared any information to the Turkish investigators but wanted to take Khashoggi's mobile phone that was left outside the consulate with his fiancée when he entered. On 31 October a senior Turkish official told The Washington Post that Turkish authorities were investigating the theory that Khashoggi's body was destroyed in acid on the grounds of the consulate or at the nearby residence of the Saudi consul general. The "biological evidence" discovered in the consulate garden supported the theory. Echoing the claim, Yasin Aktay, an adviser to Erdoğan in his ruling AK Party and a friend of Khashoggi, hinted in an article in the Turkish newspaper Hürriyet, published on 2 November, that the body was destroyed by dismembering and dissolving in acid: "We now see that it wasn't just cut up, they got rid of the body by dissolving it". On 4 March 2019, Al Jazeera Arabic released a documentary on the investigation of Khashoggi's murder and the subsequent coverup. In its coverage, the network states that the body was likely disposed of by being burnt in an oven at the Saudi consulate general's residence. An interview with the oven's builder revealed that it was designed to be "deep", and capable of withstanding temperatures over 1000 degrees Celsius. The burning took three days and happened in parts. Afterwards, a large quantity of barbecue meat was prepared to cover the evidence of cremation. In a Washington Post op-ed Erdoğan described the murder as "inexplicable" and as a "clear violation and a blatant abuse of the Vienna Convention on Consular Relations", arguing that not punishing the perpetrators "could set a very dangerous precedent." He criticised Saudi inaction against the consul general Mohammad al-Otaibi, who had misled the media and had fled the country shortly afterwards. He warned that no-one should dare commit "such acts on the soil of a NATO ally again" and wrote: "As responsible members of the international community, we must reveal the identities of the puppet masters behind Khashoggi's killing and discover those in whom Saudi officials – still trying to cover up the murder – have placed their trust... We know that the order to kill Khashoggi came from the highest levels of the Saudi government." He urged the international community to uncover the whole truth. On 5 November, Daily Sabah quoted a Turkish official that an 11-member "investigative team" had been sent by Saudi Arabia to Istanbul on 11 October. Chemist Ahmad Abdulaziz Aljanobi and toxicology expert Khaled Yahya al-Zahrani were sent as a part of the investigative team to erase the evidence and cover up. This was mentioned by the Turkish official as a sign of awareness about the crime among the top Saudi officials. The Saudi team had visited the consulate everyday between 11 and 17 October. On 15 October, Turkish police were allowed for the first time to enter the consulate. Speaking ahead of his departure for Paris to attend the World War I Armistice centenary Erdoğan acknowledged the existence of audio recordings in a televised speech on 10 November to maintain the pressure from the international community on KSA to reveal who ordered the murder of Khashoggi. He said: "We gave the tapes. We gave them to Saudi Arabia, to the United States, Germans, French and British, all of them." It was the first time that he disclosed that the three European Union states had heard the recordings. Reuters reported, quoting two sources with knowledge of the issue,[which?] that Turkey had multiple audio recordings. These recordings document Khashoggi's tortures and death and also the conversations from the days prior to the incident that Turkey had uncovered during the course of its investigation. Based on these recordings, Turkey had concluded from an early stage that the killing was premeditated. Saud al-Qahtani was reported as having a major role throughout the recording. While attending the World War I Centennial commemorations in France, Erdoğan discussed with President Donald Trump how to further respond to the killing. And a further closed-door meeting with Secretary-General Antonio Guterres of the United Nations took place. President Trump and French President Emmanuel Macron agreed that more details were needed from KSA on Khashoggi's murder. Accordingly, they also agreed that the case should not cause further destabilization in the Middle East; and fallout from the Khashoggi affair could create a way forward to find a resolution to the ongoing War in Yemen. Canadian Prime Minister Justin Trudeau gave public confirmation that Turkey had shared audio of the killing with world governments. The German government also confirmed it had received information from the Turkish authorities, but declined to elaborate. The British Foreign Secretary Jeremy Hunt paid an official visit to KSA and called for its cooperation with a "credible" investigation into Khashoggi's killing. One of the assassins was heard to say: "I know how to cut" on the audio tape. On 15 November 2018, the Saudi Prosecutor's Office stated that 11 Saudi Nationals had been indicted and charged with murdering Khashoggi and that five of the individuals who were indicted would face the death penalty, since it had been determined they were directly involved in "ordering and executing the crime". Prosecutors alleged that shortly after Khashoggi entered the Saudi Consulate in Istanbul he was bound and then injected with an overdose of a sedative that resulted in his death. The prosecutors also alleged that his body had been dismembered and removed from the consulate by five of those charged in the killing and given to a local collaborator for disposal. Saudi officials continued to deny that the Saudi Royal Family was involved in, ordered, or sanctioned the killing. On 16 November 2018, several news organizations including The New York Times and The Washington Post reported that CIA was unequivocal in assessing with "high confidence" that the crown prince Mohammad bin Salman ordered Khashoggi's assassination. The agency examined multiple sources of intelligence, including a intercepted phone call that the crown prince's brother Khalid bin Salman – the then Saudi ambassador to the United States – had with Khashoggi. A conclusion that contradicted previous Saudi government claims that the crown prince was not involved. A CIA spokesman and both the White House and the US State Department declined to comment. The Saudis issued a denial. On 20 November 2018, Trump issued the statement "On Standing with Saudi Arabia" and without citing further evidence he denied the CIA's conclusion: "Our intelligence agencies continue to assess all information, but it could very well be that the Crown Prince had knowledge of this tragic event – maybe he did and maybe he didn't!". In a series of interviews President Trump said the crown prince denies his involvement "vehemently" and the CIA only has "feelings" and there is "no smoking gun" in the death. The next day Hürriyet columnist Abdulkadir Selvi wrote that the "CIA holds 'smoking gun phone call' of Saudi Crown Prince on Khashoggi murder" and that the Director of the Central Intelligence Agency Gina Haspel has possession of an intercepted phone call in which crown prince Mohammad gives an order to his brother Khalid "to silence Jamal Khashoggi as soon as possible". "The subsequent murder is the ultimate confirmation of this instruction." Citing the leaked CIA assessment, The Wall Street Journal reported that Mohammed bin Salman sent at least 11 text messages in the hours before and after the assassination on 2 October to his closest adviser Saud al-Qahtani who supervised the 15-man kill-team that was sent to Istanbul, and that Qahtani was in direct communication with the team's leader in Istanbul. The assessment also noted that Mohammed bin Salman had told his agents back in August 2017 that Khashoggi could be lured to a third country, if he could not be persuaded to return to the KSA. However, the message-exchange element of the report was contested by Saudi Arabia based on a confidential Saudi-commissioned investigation conducted by the private security firm Kroll. The investigation, which focused on a forensic examination of a cellphone belonging to Saud al-Qahtani, found that none of the messages exchanged on the day of the murder between Prince Mohammed and Mr. Qahtani concerned the murder. Three weeks to the day after the death of Khashoggi, on 22 October, his son and brother were summoned to a photo op with King Salman and the heir to the throne, at the Palace of Yamamah, in Riyadh. Salah bin Jamal Khashoggi and his uncle Sahel were received by the royals. Pictures of the event went viral, amid reports that Salah, who lives in Jeddah, has been banned from leaving the country since 2017. A family friend, Yehia Assiri, described the event as "a serious assault on the family". Nick Paton Walsh, a senior international correspondent, described it as "a remarkable display of the sustained and catastrophic disconnect between Riyadh and the outside world. As if PR is something you shoot yourself in the foot with." The next day, 24 October, Salah Khashoggi, who holds dual Saudi-US citizenship, and his family left Saudi Arabia for the US. Maher Abdulaziz Mutreb (Arabic: ماهر عبد العزيز مطرب‎) (born 1971): a former diplomat in London, was photographed with Mohammad bin Salman on trips to Madrid, Paris, Houston, Boston and New York. Salah Mohammed al-Tubaigy (Arabic: صلاح محمد الطبيقي‎) (born 1971): the head of the Saudi Scientific Council of Forensics. Abdulaziz Mohammed al-Hasawi (Arabic: عبد العزيز محمد الحساوي‎) (born 1987): works as one of Mohammed bin Salman's personal bodyguards. Thaer Ghaleb al-Harbi (Arabic: ثائر غالب الحربي‎) (born 1979): a member of the Saudi Royal Guard. Mohammed Saad al-Zahrani (Arabic: محمد سعد الزهراني‎) (born 1988): a member of the Saudi Royal Guard. Meshal Saad al-Bostani (Arabic: مشعل سعد البستاني‎) (born 1987, died 2018): according to Al Jazeera, a Lieutenant in the Saudi Air Force. According to Turkish media, he died in a car accident in Riyadh on return to Saudi Arabia. Mustafa Mohammed al-Madani (Arabic: مصطفى محمد المدني‎) (born 1961): Khashoggi's body double leaving the Saudi consulate by the back door, dressed in Khashoggi's clothes, a fake beard, and his glasses. The same man was seen at the Blue Mosque, in an attempt to show that Khashoggi had left the consulate unharmed. Following Jamal Khashoggi's killing and mutilation, several other exiled Saudi activists reported that the Saudi regime attempted to lure them into their embassies. Exiled Saudi activist Omar Abdulaziz said he was approached earlier in 2018 by Saudi officials who urged him to visit the Saudi embassy in Ottawa, Canada with them to collect a new passport. The Saudi activist stated that the officials from the Saudi regime, "They were saying 'it will only take one hour, just come with us to the embassy.'" After Omar Abdulaziz refused, Saudi authorities arrested two of his brothers and several of his friends in Saudi Arabia. Abdulaziz secretly recorded his conversations with those officials, which were several hours long, and provided them to The Washington Post. Opposition Saudi scholar Abdullah Alaoudh said he was subjected to a similar plot when he sent in a passport renewal application to the Saudi Embassy in Washington. Alaoudh said, "They offered me a 'temporary pass' that would allow me to return to Saudi Arabia." Alaoudh suspected a trap and just let his passport expire. Prominent Saudi women's rights activist Manal al-Sharif also separately reported a similar event during her exile in Australia, having said: "If it weren't for the kindness of God I would have been [another] victim." Middle East Eye published claims from an unnamed source with knowledge of Saudi intelligence agencies that the murder is part of a larger operation of silently murdering critics of Saudi government by a death squad named "Tiger Squad", composed of the most trusted and skilled intelligence agents. According to the source, the Tiger Squad assassinates dissidents using varying methods such as planned car accidents, house fires, or poisoning clinics by injecting toxic substances into opponents when they attend regular health checkups. The alleged group members are recruited from different branches of the Saudi forces, directing several areas of expertise. According to Middle East Eye, five members were part of the 15-member death squad who were sent to murder Khashoggi. The source interviewed by Middle East Eye also said the team planned to kill Omar Abdelaziz and claimed prince Mansour bin Muqrin was assassinated by the squad by shooting down his personal aircraft as he was fleeing the country on 5 November 2017 and made to appear as an accidental crash. The Tiger Squad also reportedly killed Suleiman Abdul Rahman al-Thuniyan, a Saudi court judge who was murdered by an injection of a deadly virus into his body when he had visited a hospital for a regular health checkup. "One of the techniques the Tiger Squad uses to silence dissidents or opponents of the government is to 'kill them with HIV, or other sorts of deadly viruses'". When the news of disappearance of Khashoggi broke out Saudi Arabia claimed he had left the consulate and denied having any knowledge about his fate. Turkish media published evidence suggesting that Khashoggi never came out of the consulate. Saudi Arabia denied any involvement in the case. The international community called for more clarity on the case from Saudi authorities. Meanwhile, the Turkish authorities kept leaking facts from the ongoing investigation of the case that refuted Saudi claims. Saudi Arabia was placed under an unprecedented economic and political pressure from the international community to disclose the facts on this case. On 19 October, the Saudi officials admitted Khashoggi died inside the consulate due to strangulation after an argument and fistfight. Saudi Arabian foreign minister called it a "rogue operation" and on 25 October the Saudi prosecutor stated that Turkish-supplied evidence indicates the suspects acted with premeditated intention. On 3 October, Saudi officials claimed Khashoggi had left the consulate alive, and that he was neither in the consulate nor in Saudi custody. The Saudis denied having any knowledge of his fate. Saudi Arabia's Crown Prince Mohammad bin Salman claimed Khashoggi left the consulate shortly after the visit. On 8 October, Prince Khalid bin Salman, brother of the Crown Prince and Saudi Ambassador to the U.S., published a letter stating that Khashoggi went missing after leaving the consulate. The English-language Arab News on 10 October 2018 reported that Prince Khalid "condemns 'malicious leaks and grim rumors' surrounding Khashoggi disappearance" and that "the reports that suggest that Jamal Khashoggi went missing in the Consulate in Istanbul or that the Kingdom's authorities have detained him or killed him are absolutely false, and baseless". Saudi Arabia threatened to retaliate "if it is [targeted by] any action". Turki Aldakhil, the head of Al Arabiya, the Saudi-owned pan-Arab news network based in Dubai, wrote that "If President Trump was angered by $80 oil, nobody should rule out the price jumping to $100 and $200 a barrel or maybe double that figure." However, the Saudi embassy in Washington said Al Dakhil didn't represent the official position of Saudi Arabia, and Khalid A. Al-Falih, the Saudi energy minister, said his country "will continue to be a responsible actor and keep oil markets stable". Saudi Arabia is the world's largest oil exporter. Saudi Arabia's Office of Public Prosecution tweeted that "producing rumors or fake news [that Saudi Arabia's government was involved in the disappearance of Khashoggi] that would affect the public order or public security or sending or resending it via social media or any technical means" is punishable "by five years and a fine of 3 million riyals". Twitter has suspended a number of bot accounts that appeared to be spreading pro-Saudi tweets about the disappearance of Khashoggi. Saudi owned channel, Al Arabiya claimed that reports of Khashoggi's disappearance inside the Saudi consulate have been pushed by Qatar. According to the Saudi daily newspaper Okaz, Qatar has a "50 percent ownership of the [Washington] Post and has influence over its editorial direction". Saudi daily newspaper Al Yaum has claimed that members of the alleged death squad were, in fact, tourists. The New York Times reported that on 16 October, Saudi Arabia transferred $100 million to the American government, purportedly for its stabilization efforts in Syria, on the same day U.S. Secretary of State Mike Pompeo arrived in Riyadh for the discussion on Khashoggi with the Saudi king, the crown prince, and the foreign minister. Brett McGurk, the U.S. envoy to the coalition against ISIL, dismissed any connection between the events and had expected the payment in the fall. Saudi Arabia had pledged the money in August without confirming any timelines, and it was unclear to one anonymous official if the payment would ever be made. The Washington Post reported that Saudi Arabia has historically made financial largesse to countries with the aim of gaining support for its foreign policy objectives. On 19 October, Washington Post reported that Saudi Arabia has arrested 18 people related to the case without naming them. It has maintained its position denying the involvement of Prince bin Salman or King Salman. Saudi Arabia dismissed five officials of senior rank due to their alleged involvement with the case, including bin Salman's court advisor Saud al-Qahtani, and Ahmad Asiri, the deputy chief of the Saudi intelligence service Maj. Gen. Mohammed bin Saleh al-Rumaih who served as the assistant head of the General Intelligence Directorate, Maj. Gen. Abdullah bin Khalifa al-Shaya, the head of General Intelligence for Human Resources; and Gen. Rashad bin Hamed al-Mohammad, the director of the General Directorate of Security and Protection were also fired. The official Saudi Press Agency reported the prosecutor's statement that, based on the preliminary investigation, suspects were found to have traveled to Istanbul to meet Khashoggi, since he had shown an interest in returning to Saudi Arabia. Further discussion with Khashoggi, "developed in a negative way... led to a fight and a quarrel between some of them and the citizen... The brawl aggravated to lead to his death and their attempt to conceal and cover what happened.. "
On 9 November Prince Turki al-Faisal, KSA's ex-intelligence chief said the kingdom would "never accept" an international investigation into Khashoggi's murder. On 10 November, Reuters reported quoting intelligence sources that there was no indication of the arrest of any suspect. Eleven people have been put on trial, with five to be facing death sentences. Maher Abdulaziz Mutreb and Ahmed al-Asiri, the deputy chief of intelligence, are believed to be among them, as well as Salah Muhammed al-Tubaigy, who along with several others accused, has entered a not guilty plea. Saif Saad al-Qahtani seems not to be on trial. On 20 October, after 18 days of the denial of any involvement with Khashoggi's disappearance, the Saudi government admitted that he had died in the consulate. The Saudi government had issued a press statement after the "preliminary investigations" by the public prosecution office in Saudi Arabia. It stated that the investigations had "revealed that the discussions that took place between [Khashoggi] and the persons who met him... at the Saudi consulate in Istanbul led to a brawl and a fist fight". This led to his death followed by the attempts to conceal the evidence. On 20 October, an anonymous official added that 15 Saudi officials had been sent to confront Khashoggi, that a confrontation occurred when he saw them, which resulted in him trying to flee, causing a fight that ended with him being strangled or choked, and a cover-up of the death. No evidence was provided at the time to support this explanation of events, and no information was given regarding the whereabouts of Khashoggi's body. Five high-ranking officials have been removed from their posts, including Saudi royal court advisor Saud al-Qahtani and deputy intelligence chief Ahmad Asiri, and altogether 18 Saudis have been detained in the kingdom. The Saudi government said that it would need another month to investigate the death. On 21 October, Saudi Foreign Minister Adel al-Jubeir, during an interview with Fox News, for the first time used the term "murder" for the death of Khashoggi. He stated that individuals acted outside the scope of their authority in a "rogue operation". According to him, it was a tremendous mistake, and further attempts to cover it up compounded it. He added that Prince Mohammed knew nothing of any plan to kill Khashoggi and that the whereabouts of his body remained a mystery. He assured Khashoggi's family that those responsible would be held accountable. Reuters reported that an anonymous government official provided further detail on the death. He said Khashoggi was allegedly threatened with drugging and kidnapping by Maher Mutreb, resisted and was restrained with a chokehold, which killed him. Mustafa Madani then left through the back door of the consulate dressed in Khashoggi's clothes, with his eyeglasses, with his Apple watch and a fake beard to deceive any observers. Khashoggi's body was rolled up in a carpet and given to a "local cooperator" for disposal. When questioned about Khashoggi's alleged torture and decapitation, the official said preliminary findings did not suggest that happened. The official provided Saudi documents indicating the operation was part of a wider initiative to bring expatriate dissidents home. The original plan was to keep Khashoggi in an Istanbul safe house for a period where he would be persuaded to return home or eventually released, and Mutreb had overstepped by threatening a kidnapping. 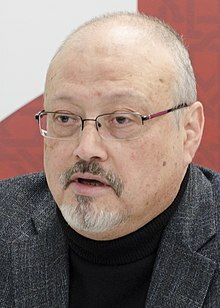 The team then filed a false report indicating they let Khashoggi leave after he warned of Turkish police interference. On 25 October, Saudi General Attorney Saud al-Mujeb (ar) said information received from joint working team of Saudi and Turkish investigators "indicates that the suspects in the incident had committed their act with a premeditated intention". On 6 October, Al-Jazeera quoted a Turkish official saying that Turkey was informed by Saudi Arabia that it will pay "diya" (financial compensation for murder or bodily harm, under Islamic law) to Khashoggi's sons and fiancée. In April 2019, it was reported the four Khashoggi children were given houses believed to be worth up to $4m each, and monthly payments of around $10,000 by Saudis Arabia. 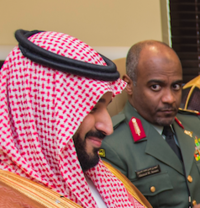 On 20 November Saudi Arabia's foreign minister Adel al-Jubeir said claims by the CIA's assessment that crown prince Mohammed gave the order to kill Khashoggi are false: "The leadership of the kingdom of Saudi Arabia, represented by the Custodian of the Two Holy Mosques (the king) and the crown prince, is a red line, and we will not permit attempts to harm or undermine them". After the Khashoggi assassination, multiple reports indicate that the Saudi regime underwent its worst crisis since the September 11 attacks and the entire House of Saud emerged weakened as a result. The international outrage added pressure to the already divided royal court over Prince Mohammed's rapid ascension to power. On 30 October, former interior minister Prince Ahmed bin Abdulaziz Al Saud, who was seen by academics as a figure of special gravitas and as a critic of his nephew Crown Prince Mohammed, returned from his exile to Riyadh with a private security detail provided by US and UK officials and reassurances for safe passage from the king. He had been living in London for the last six years. According to multiple reports, Prince Ahmed's return was considered the most significant development in the royal family since the assassination and did suggest the Saudi royal family may be trying to internally restructure the dynasty. Saudi dissident, Prince Khaled bin Farhan, said that if the senior princes Ahmed and Muqrin were to unite ranks, then "99 percent of the members of the royal family, the security services and the army would stand behind them" and could restore the reputation of the family, which has been damaged by King Salman's "irrational, erratic and stupid" rule. Saudi sources reported Mohammed bin Salman "Destroyed the institutional pillars of nearly a century of Al Saud rule: the family, the clerics, the tribes and the merchant families" which they considered as "destabilizing". On 3 November, Crown Prince Mohammed released Khalid bin Talal, the younger brother of Alwaleed bin Talal, after almost a year in prison, which according to Middle East Eye, was an effort to mitigate the effect of his uncle's return. He had refused to make concessions in order to be referred to a court of law. Their father Prince Talal had been pressing since the 1960s to turn KSA into a constitutional monarchy. Madawi al-Rasheed, professor at the Middle East Centre at the London School of Economics and Political Science (LSE) and "an important Saudi intellectual in exile", wrote: "Princes are the only conduit by which the United States knows how to deal with Saudi Arabia, and no normal diplomatic measures exist for holding a rogue prince accountable." 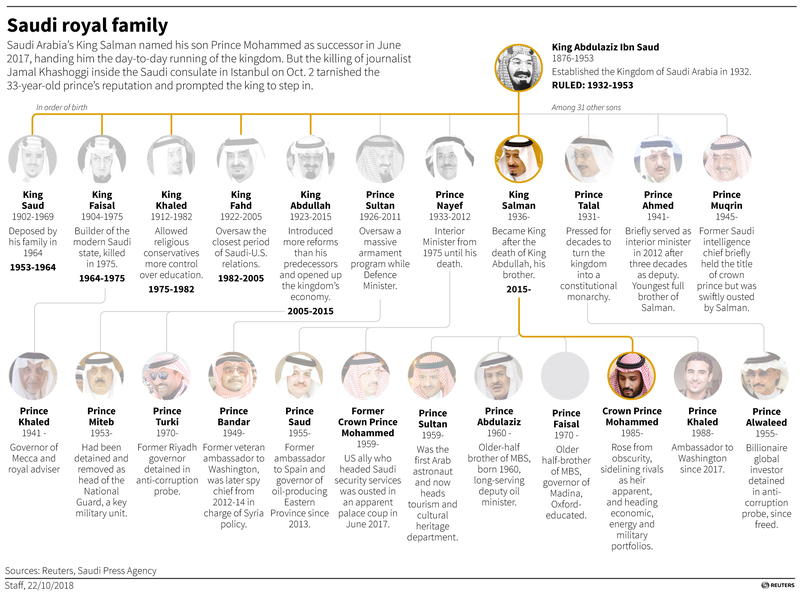 According to Reuters, princes from various branches of the Al Saud family opposed the king's favorite son and campaigned to prevent crown prince Mohammed from becoming king. The succession to the throne in KSA is decided by the Allegiance Council, a body where each branch of the ruling family selects the heir they consider fittest to lead. President Recep Tayyip Erdoğan demanded that the Saudi government provide proof for their claims that Khashoggi left the consulate alive, something that police CCTV did not capture. Neil Quilliam, a senior research fellow with Chatham House's Middle East and North Africa program, told Business Insider that "The staccato nature of the Turkish response suggests that they were prepared to offer the Saudis a way out of the crisis – at least provide them with an off-ramp – but given the Saudi response or lack of it, the authorities continue to share more and more details." The politician Numan Kurtulmuş, of the ruling Justice and Development Party, said that "it's not possible for the Saudi administration to wiggle itself out of this crime if it's confirmed." On 23 October, President Erdoğan spoke for the first time in public about the assassination of Khashoggi. It was a long-awaited speech to the Turkish Parliament. Erdoğan gave a minute depiction of the crime from the Turkish point of view, from the minute Khashoggi entered the consulate on 2 October. He rejected the Saudi claim of an "accidental killing" and stated that Turkey has strong leads to prove it was a "premeditated political murder" and a "ferocious murder". Erdoğan also made it clear that for him the matter was not settled with the arrest of 18 Saudis, 3 of whom were staff at the Istanbul Consulate: "To blame such a case on some security and intelligence officials would not satisfy us or the international community", he said. He also added the 18 arrested Saudis would have to be tried in Istanbul. He did not doubt the sincerity of King Salman. In his speech, Erdoğan did not once mention the crown prince, who is suspected of ordering the murder. His speech demonstrated that the crisis with Riyadh was far from over. On 26 October, the prosecutor's office in Istanbul submitted an extradition request for the eighteen suspects in the case. President Erdogan asked Saudis to disclose the location of the dead body. He also argued that the suspects should face trial in Turkey. Foreign minister Mevlüt Çavuşoğlu told reporters that he wanted to know where Khashoggi's body is: "There is a crime here, but there is also a humanitarian situation, the family wants to know and they want to perform their last duty", referring to the family and friends hopes to bury Khashoggi's body. On 31 October, a Turkish prosecutor reportedly said that Khashoggi was strangled as soon as he entered the consulate building, and that his body was dismembered and disposed of. This was the first such accusation by a Turkish official. His body may have been dissolved in acid, according to Turkish officials. On 10 November Erdogan stated that the audio recordings related to the killing were given to Britain, France, Germany, Saudi Arabia and the United States to maintain the pressure from the international community on Saudi Arabia. SBS reported that Turkish President Recep Tayyip Erdoğan "has been relentless in his pursuit of Saudi Arabia over the killing of journalist Jamal Khashoggi inside the their consulate in Istanbul. But inside his own country, Erdogan’s has used a similar approach to attack local journalists and critics", part of a massive purge against Erdoğan's perceived enemies. According to Mustafa Kuleli, general secretary of the Journalists Union of Turkey, "Journalist organizations in Turkey are trying to cope with colossal problems with very few professionals: thousands of trials against members, news organizations shut down, unemployment, poor working conditions. We are every day in the courts supporting journalists. I understand why time could not be devoted to the Khashoggi case." On 24 January 2019 Turkey announced that it would launch an international investigation in Khashoggi's murder and accused the United States of a cover up. The inquirity is to be led by Agnes Callamard, the United Nations special rapporteur on extrajudicial, summary or arbitrary executions. President Donald Trump expressed concern about the fate of Khashoggi, and Secretary of State Mike Pompeo called on Saudi Arabia "to support a thorough investigation of Mr. Khashoggi's disappearance and to be transparent about the results of that investigation". After speaking to the Saudi king by phone, Trump said that Salman "denies any knowledge of whatever may have happened... The denial was very, very strong. It sounded to me like maybe these could have been rogue killers. Who knows?" On 16 October, Trump dispatched Pompeo to Riyadh to meet with King Salman, where he "reiterated U.S. concern over Khashoggi's disappearance", while also thanking the king for his "commitment to a thorough, transparent investigation". The reported killing created a bipartisan uproar in Congress, shaking the foundations of the close American-Saudi relationship with calls for suspension of military sales. Senior Republican senator Lindsey Graham's reaction was stern, as he said "there would be hell to pay" if Saudi is involved in the murder of Khashoggi. He further added, "If they're this brazen, it shows contempt. Contempt for everything we stand for, contempt for the relationship." Chris Murphy, a junior Democratic senator, wrote that if the reports are true "it should represent a fundamental break in our relationship with Saudi Arabia." Murphy also called for at least a temporary halt in military support for the Saudi Arabian-led intervention in Yemen. The United States Congress can block or modify an arms sale. Former ambassador to Saudi Arabia Robert Jordan said on 12 October that he is "95 percent certain" that Saudi Arabia killed Jamal Khashoggi. Riyadh summit: On 20 May 2017, President Donald Trump signed the United States–Saudi Arabia arms deal. Senator Rand Paul said that he would attempt to force a vote on blocking future arms sales to Saudi Arabia. Senator Bob Corker, the chair of the Senate Foreign Relations Committee, sent a letter to Trump over Khashoggi's disappearance. Signed by the entire Committee other than Senator Paul who prepared his own letter, it "instructs the administration to determine whether Khashoggi was indeed kidnapped, tortured, or murdered by the Saudi government and, as the Global Magnitsky Act requires, to respond within 120 days with a determination of sanctions against individuals who may have been responsible". Senator Bernie Sanders denounced the Trump administration, saying that "Saudi Crown Prince Mohammad bin Salman feels emboldened by the Trump administration's unquestioning support." Trump told journalists: "I know [Senators] are talking about different kinds of sanctions, but [the Saudis] are spending $110 billion on military equipment and on things that create jobs for this country." Trump, in responding specifically to the Senate's attempt to block the Saudi arms deal, stated that the blocking of such a deal "would not be acceptable to me". While opposing trade sanctions, Trump remained open to the possibility of other forms of what he described as the "severe punishment" of Saudi Arabia. Senator Richard Blumenthal stated: "All American businesses and nonprofit organizations should review and re-evaluate their relationships with Saudi Arabia in light of the ... murder, which seemingly could not have been done without knowledge at the highest levels of its government." In the wake of Khashoggi's murder, universities and think tanks faced renewed scrutiny over their close ties to KSA. In March 2018 UC Berkeley, Harvard University, Yale Law School and the Massachusetts Institute of Technology (MIT) Media Lab, one of the university's most famous laboratories, had accepted a visit from crown prince Mohammad bin Salman. At MIT Media Lab he was shown demos of war-related technologies like autonomous robots which are used for military purposes, made by a company called Boston Dynamics, which is an MIT affiliate. The visits to MIT and Harvard were not widely publicized or accompanied by public events, and the visit was held in spite of protests and petitions demanding its cancellation. In light of the visits and subsequent assassination of Khashoggi, student newspapers called for the schools to cut ties with the Saudi Government. MIT's president L. Rafael Reif has previously defended their relationship with the Saudi government, pointing to a Saudi fellowship which has brought 27 Saudi women PhDs to the school and arguing that "not engaging neither creates nor encourages significant positive change". The Brookings Institution chose to terminate their sole research grant with the Saudi government on 12 October 12. Former National Security Adviser Susan Rice wrote in The New York Times on 29 October that "As this litany of lunacy shows, Prince Mohammed is not and can no longer be viewed as a reliable or rational partner of the United States and our allies." She demanded: "We need to stop privileging Jared Kushner's relationship with the crown prince, and finally fill the vacant ambassadorship to the kingdom, to engage with a broader range of senior Saudi officials. President Trump's inexplicable infatuation with Prince Mohammed must end, and he must recalibrate American policy so that it serves our national interests – not his personal interests or those of the crown prince." In Washington, a petition launched to rename the section of New Hampshire Avenue where the Saudi embassy is located as "Jamal Khashoggi Way". After a memorial service for Jamal Khashoggi in London on 29 October 2018, his long-time friend Nihad Awad and head of Council on American-Islamic Relations (CAIR), urged to begin petitions in every city where Riyadh has a diplomatic mission. In the letter to President Trump on 31 October a group of Republican senators urged a halt on selling U.S. nuclear power equipment to KSA. They wrote they have long had reservations about selling nuclear technology and stressed that the Saudis have balked a 123 agreements – a civilian nuclear agreement setting non-proliferation standards to prevent the country from building a nuclear weapon by setting limits on uranium enrichment, as well the reprocessing of spent fuels. The senators called for KSA to accept the "Gold Standard" for nuclear non-proliferaton enshrined in U.S. agreements, especially in light of President Trump's efforts to block Iran's path to a weapon. In an CBS interview in March 2018, Crown Prince Mohammed made clear that even if the KSA were not actively pursuing a nuclear weapon, the Saudi adherence to the Nuclear Nonproliferation Treaty is conditional and could change suddenly. Henry Sokolski, head of the Nonproliferation Policy Education Center, deliberated "any negotiations regarding a U.S.-Saudi nuclear cooperation agreement should be halted. If the Trump administration refuses to do this, Congress should make clear, as part of its broader response to the Khashoggi killing, that any agreement submitted for review will be blocked." In a phone call with Crown Prince Mohammed on 11 November, Secretary of State Pompeo ″emphasized that the United States will hold all of those involved in the killing of Khashoggi accountable, and that Saudi Arabia must do the same″. According to CNN, US Secretary of State Mike Pompeo during his visit to Saudi Arabia had told Mohammad Bin Salman that "his future as king depends on his handling of Khashoggi's suspected murder." Pompeo stressed that time is short and went on to tell him "bluntly that if they don't, the US will have to deal with this", and "will take action because the world will demand it and that President Trump's hand will be forced by the global pressure". On 15 October The Washington Post reported that U.S. pressure on Trump has been bipartisan. Trump said on 19 October that he "would prefer if there was going to be some form of sanction", adding that "we don't use as retribution canceling $110 billion worth of work, which means 600,000 jobs." According to the New York Times, Jamal Khashoggi's disappearance comes "at a fraught moment for the Trump administration, which is expected to reimpose harsh sanctions against Iran on November 5, with the intent of cutting off all Iranian oil exports. But to make the strategy work, the administration is counting on its relationship with the Saudis to keep global oil flowing... and to work together on a new policy to contain Iran in the Persian Gulf." Commenting on the Saudi explanation that Khashoggi died inside the consulate after a fight, Trump said he considered it credible and called the official statement a "good first step". Several Republican senators, including Marco Rubio, Lindsay Graham, Bob Corker, and Rand Paul, have demanded a definitive response from the Trump administration towards Saudi Arabia, with the Trump administration yet remaining unwilling to impose any specific sanctions on the country. In response to Trump's apparent faith in the most recently revised official Saudi version of the killing, The Washington Post CEO Fred Ryan said, "The Saudis cannot be allowed to fabricate a face-saving solution to an atrocity that appears to have been directed by the highest levels of their government." In a 20 October interview with the Washington Post, Trump said about changes in the Saudi statements: "Obviously there's been deception and there's been lies", but he had not seen any evidence confirming the involvement of the Crown prince so far. When asked about his ways and possibility of sanctions on Saudi Arabia, Trump did not answer stating it was too early. On 21 October, Trump affirmed to reporters in the White House that he was "not satisfied" with Saudi Arabia's explanation, criticising their requested one month to investigate the situation themselves. He said he had "people over in Saudi Arabia now. We have top intelligence people in Turkey, and we're going to see what we have. I'll know a lot tomorrow." However, he was hesitant to cancel the arms sale deal with Saudi Arabia. CNN reported that, according to sources, CIA director Gina Haspel was traveling to Turkey that day in relation to the Turk's Khashoggi investigation. When asked about this report the CIA did not offer comment. That day when questioned by reporters at the oval office, Trump said of the Saudis' actions after Khashoggi's death that "They had a very bad original concept, it was carried out poorly, and the cover-up was the worst in the history of cover-ups. They had the worst-cover up ever". In an interview with The Wall Street Journal, Trump said that Mohammad bin Salman may have been behind Khashoggi's death. US officials have stated that the killing could not have been done without having the authorization of Prince bin Salman who is the de facto ruler. According to anonymous US officials, the CIA has concluded that Mohammed bin Salman ordered the assassination; the conclusion is based on multiple sources, including a phone call in which Khalid bin Salman, brother of Mohammed bin Salman and Saudi Ambassador to the U.S., assured Khashoggi would be safe go to the Saudi consulate in Istanbul to retrieve the documents for the marriage. A Saudi Embassy spokeswoman stated "the claims in this purported assessment are false" and Khalid bin Salman denied talking to Khashoggi by phone or suggesting that he should to go to Turkey. On 13 November 2018, President Trump announced the nomination of retired Army Gen. John Abizaid as U.S. Ambassador to Saudi Arabia, a post that was vacant for nearly two years. On 23 October, Trump's Secretary of State Mike Pompeo announced that the US was taking action against 21 Saudi individuals they believed were involved in Khashoggi's death, who will have their visas revoked or will be made ineligible for one. He also said he talked to the Treasury Department about the applicability of sanctions against those involved. On 15 November, The US treasury department declared that it has imposed economic sanctions on 17 Saudi officials who it said had "targeted and brutally killed" Khashoggi, who lived and worked in the US, and that these 17 individuals "must face consequences for their actions". The list of sanctioned included Qahtani, Mutreb, and Alotaibi. The declaration stated "Saud al-Qahtani is a senior official of the Government of Saudi Arabia who was part of the planning and execution of the operation that led to the killing... This operation was coordinated and executed by his subordinate Maher Mutreb... The Saudi consulate in Istanbul, where Mr. Khashoggi was killed, was overseen by Consul General Mohammed Alotaibi." On 16 November 2018, a CIA assessment was leaked to the media that with "high confidence" crown price Mohammed bin Salman ordered Khashoggi's assassination. Regardless, President Trump continued to disregard his own CIA assessment. Adam Schiff, the top Democrat on the House intelligence committee, who was briefed by the CIA on the assessment stated that President Trump was lying about the CIA findings. Under mounting pressure from lawmakers who wanted action against KSA, Secretary of State Mike Pompeo and Defense Secretary Jim Mattis, in a rare closed briefing addressing the Senate, declared there was no direct evidence linking the crown prince to the Khashoggi's assassination. Many lawmakers were furious that CIA Director Gina Haspel, the only Trump cabinet member who listened to the audio recordings of the assassination in Istanbul, did not participate in the briefing, as they had requested. After a small group of bipartisan senators were briefed by CIA Director Haspel on 4 December 2018, their takeaway was dramatically different from that of the administration. Even leading Republican senators distanced themselves from President Trump and stated they are certain that Mohammed bin Salman indeed ordered the assassination. Bob Corker, the Republican chair of the Senate foreign relations committee, affirmed immediately after the Haspel briefing: "I have zero question in my mind that the crown prince ordered the killing, monitored the killing, knew exactly what was happening. If he was in front of a jury, he would be convicted in 30 minutes. Guilty. So the question is, 'What do we do about that?'". Republican senator Lindsey Graham, a close ally of President Trump, emerged from the Haspel briefing more convinced than ever that Mohammed bin Salman was "complicit". He told reporters on Capitol Hill that "there's not a smoking gun, there's a smoking saw", in reference to the medical device the Saudi kill team allegedly used to dismember Khashoggi. He acknowledged: "The crown prince is a wrecking ball. I think he's complicit in the murder of Mr. Khashoggi to the highest level possible. I think his behavior before the Khashoggi murder was beyond disturbing. And I cannot see him being a reliable partner to the United States. If the Saudi government is going to be in the hands of this man for a long time to come, I find it very difficult to be able to do business because I think he's crazy, I think he is dangerous." A former Saudi intelligence chief and senior member of the Saudi royal family Prince, Turki bin Faisal Al Saud, dismissed the CIA's finding that Khashoggi's murder was ordered directly by Mohammed bin Salman, saying that "The CIA has been proved wrong before. Just to mention the invasion of Iraq for example. The CIA is not necessarily the best measure of creditable intelligence reporting or intelligence assessment." On 18 October 2018 at a press conference at the United Nations four major human rights groups demanded an independent UN investigation into Khashoggi's assassination. The Committee to Protect Journalists (CPJ), Amnesty International (AI), Human Rights Watch (HRW), and Reporters Without Borders (RSF) called on Secretary-General of the United Nations Antonio Guterres to appoint an investigator. The UN team should be allowed full access to any sites and allowed to interview witnesses or suspects without interference. KSA should immediately waive diplomatic protections and Turkey should turn over all evidence in its possession, including audio and visual records that Turkish officials have claimed reveal Khashoggi's murder. AI's head of the New York office, Sherine Tadros, pointed to Saudi Arabia's human rights record: "This incident didn't happen in a vacuum. Jamal Khashoggi is not one case that is an anomaly. It happened in a context of an increased crackdown on dissent since June 2017 when the crown prince Mohammed Bin Salman took his position." CPJ's Deputy Executive Director Robert Mahoney said at the press conference: "This sends an incredibly chilling signal to journalists around the world that their lives don't matter and that states can have you murdered with impunity." "UN involvement is the best guarantee against a Saudi whitewash or attempts by other governments to sweep the issue under the carpet to preserve lucrative business ties with Riyadh." Louis Charbonneau, the UN Director at HRW, said: "If in fact it's true, that the most senior members of the Saudi government were behind the execution and dismemberment of Mr. Khashoggi, then we don't want the culprits investigating themselves." "Only the UN has the credibility and independence required to expose the masterminds behind Khashoggi's enforced disappearance and to hold them accountable." Christophe Deloire, Secretary-General of RSF, wrote: "Any attempt to get rid of the pressure on Saudi Arabia and to accept a compromise policy would result in giving a 'license to kill' to a Kingdom that puts in jail, lashes, kidnaps and even kills journalists who dare to investigate and launch debates". Amnesty, the CPJ, HRW and RSF stated that the Saudi-Turkish investigation group will be unable to make progress in the face of KSA's denials of any involvement. On 19 October 2018 Secretary-General of the United Nations Antonio Guterres stated that the confirmation of the death of prominent dissident journalist has "deeply troubled" him. An official statement said "The Secretary-General is deeply troubled by the confirmation of the death of Jamal Khashoggi. He extends his condolences to Mr. Khashoggi's family and friends. ... The Secretary-General stresses the need for a prompt, thorough and transparent investigation into the circumstances of Mr. Khashoggi's death and full accountability for those responsible". Between 28 January and 3 February 2019 UN Special Rapporteur Agnes Callamard, who is leading an international human rights inquiry into the murder, visited Turkey. The preliminary report on the inquiry, published on 7 February, concluded that Khashoggi "was the victim of a brutal and premeditated killing, planned and perpetrated by officials of the State of Saudi Arabia". Prime Minister Justin Trudeau has said that he has "real concerns" about the disappearance of Khashoggi. Foreign Affairs Minister Chrystia Freeland "reaffirmed (Canada's) commitment to defending freedom of expression and protection of the free press" and raised the issue directly with her Saudi counterpart, calling for "a thorough, credible and transparent investigation into the serious allegations about Mr. Kashoggi's disappearance". She added that "Canada remains very troubled by (his) disappearance." On 22 October, after preliminary findings of the Saudi investigation emerged, Global Affairs Canada said "The explanations offered to date lack consistency and credibility." It reiterated Canada's condemnation of the killing and condolence to the family and urged investigators to work with Turkey toward justice. When asked about a pending sale of 742 Light Armoured Vehicles to Saudi Arabia in light of Khashoggi's death and the Yemeni war during question period in Parliament on 22 October, Trudeau said: "We have frozen export permits before when we had concerns about their potential misuse and we will not hesitate to do so again." The contract, with London, Ontario's General Dynamics Land Systems Canada, is estimated at $15 billion. However, Canada will be respecting the export permits that have already been issued. Canadian ministers and embassy staff had skipped attending the business summit in Riyadh due to the incident. At the request of Prime Minister Trudeau spy chief David Vigneault departed for Turkey to work on the investigation. Vigneault, the director of the Canadian Security Intelligence Service, listened to the recording of the Turkish authorities of Khashoggi's assassination and upon his return provided a briefings to Trudeau as well as other Canadian officials. On 24 October, Trudeau had a telephonic conversation with German Chancellor Merkel after which they released a joint statement reaffirming "their shared commitment to freedom of the press". Both leaders "strongly agreed on the need for transparency and accountability for those who committed this act". European Union: On 13 October, the European Union requested a detailed investigation of the incident. On 20 October the High Representative of the Union for Foreign Affairs and Security Policy Federica Mogherini issued a formal statement saying: "The emerging circumstances of Jamal Khashoggi's death are deeply troubling, including the shocking violation of the 1963 Vienna Convention on Consular Relations and particularly Article 55 ... Therefore the European Union, like its partners, insists on the need for continued thorough, credible and transparent investigation, shedding proper clarity on the circumstances of the killing and ensuring full accountability of all those responsible for it." Austria: Foreign Minister Karin Kneissl described the case as "profoundly shocking" and an unprecedented violation of the law and said that the European Union should halt arms sales to Saudi Arabia. France requested a detailed investigation of the incident on 13 October. On 26 October, French president Emmanuel Macron declared that he did not want to reconsider weapon sells to Riyad, stating "It will be pure demagogy to stop selling weapons" to Riyad as a response to the assassination of Jamal Khashoggi. Germany: Observers have lashed out at Trump for refusing to punish the Saudis. Norbert Röttgen, chairman of the German parliamentary foreign affairs committee, criticized Donald Trump's comments: "The decisive factor now is the behaviour of the U.S. president, who basically told the crown prince, we are giving you free rein as long as you buy enough weapons and other things from us." Germany described the Saudi explanation as "inadequate", and Foreign Minister Heiko Maas questioned if weapons should be sold to Saudi Arabia by countries. On 21 October, German Chancellor Angela Merkel rejected the Saudi statement that confirmed the killing and called for transparency and accountability in the case. She stated that Germany will not export arms to Saudi Arabia until the questions related to the case are resolved, and the persons responsible in the case are held accountable. On 25 October Chancellor Merkel condemned in a telephone call with the Saudi King Salman the killing of Khashoggi "in the strongest terms" and demanded "to ensure a swiftly, transparent and credible investigation". With regard to the humanitarian crisis in Yemen, Merkel called on Saudi Arabia to do everything in its power to effectively facilitate access to humanitarian aid. Leading Greens politician Ska Keller said: "EU countries must not continue to turn a blind eye to the serious human rights violations committed by the Saudi government." On 19 November 2018 Germany halted even those arms sales to the KSA, that were previously approved. Norway: Due to political divisions, Norway reached a consensus that the Saudi explanation was "ridiculous". In the beginning of November, Norwegian Foreign Minister Ine Eriksen Soereide had summoned the Saudi ambassador to protest the assassination of Khashoggi. After a week, on 9 November, Norway became the second country after Germany to stop the sale of arms to Saudi Arabia, over the "recent developments" in Saudi Arabia and situation in Yemen. Russia: Russian President Vladimir Putin stated that Russia "cannot start deteriorating relations" with Saudi Arabia because "it did not know what really happened" and "the journalist that disappeared lived in the US. In this sense, of course, the US holds a certain responsibility over what happened to him." Russian Foreign Minister Sergei Lavrov said that Russia hopes the results of the joint Turkish-Saudi investigation will be made public. Kremlin spokesman Dmitry Peskov stated that Russia's official position was set out by President Putin. The Saudi royal family's statement condemning the incident and stating that the royal family was not involved makes everything else a matter of investigation. He also stated that there is no reason not to believe the statement. The Russian envoys to Indonesia and the United Kingdom stated the US' and UK' response to the disappearance of Khashoggi demonstrates London's and Washington's double standards toward Russia and other countries. Spain: Spain's Prime Minister Pedro Sanchez defended the decision to continue arms sales to Saudi Arabia and insisted on his government's "responsibility" to protect jobs in the arms industry. The foreign ministry said it was also "upset" by the statements of Saudi Arabia regarding the killing of Khashoggi, according to a written statement from Spain's Ankara Embassy on Monday. The statement said the perpetrators of the incident should pay the price of it before justice "after a wide-scoped and transparent investigation" and also offers their condolences to Khashoggi's family. Podemos party and Catalan pro-independence parties criticized links between Spanish royal family and Saudi Arabia. United Kingdom: Foreign Secretary Jeremy Hunt met the Saudi ambassador and warned Saudi Arabia that the long-term friendship between the UK and Saudi Arabia depends on "shared values". Hunt rejected calls to end weapons sales, saying: "There are jobs in the UK ... at stake so when it comes to the issue of arms sales we have our procedures." The Labour Party's Shadow First Secretary of State, Emily Thornberry, criticized Theresa May's government's response to Khashoggi's disappearance as 'too little, too late'. Thornberry was critical of UK-Saudi relations, saying: "Imagine how this government would have reacted if either Russia or Iran had abducted – and in all likelihood murdered – one of their dissident journalists within the sovereign territory of another country." The Labour Party's leader Jeremy Corbyn and Shadow Secretary of State for International Trade Barry Gardiner called for the suspension of UK arms sales to Saudi Arabia. The British Foreign Secretary Jeremy Hunt paid an official visit to KSA and called for its cooperation with a "credible" investigation into Khashoggi's killing. Corbyn also called for an international investigation into the murder of Khashoggi and Saudi's war crimes in Yemen. Liberal Democrats leader Vince Cable said: "This situation gets murkier and murkier. The Government should have already suspended arms export licences to Saudi Arabia given the outrages in Yemen. This reinforces the argument for loosening the bonds to the regime." On 19 October diplomat and former chief of the Secret Intelligence Service (MI6), John Sawers, told the BBC that all the evidence suggested crown prince Mohammed bin Salman was behind the death of Khashoggi, and that the theory that rogue elements in the Saudi military were responsible was "blatant fiction". He stated he did not believe the crown prince Mohammed would have acted in the way he did unless he believed he had been given "licence" to do so by the US administration of Donald Trump: "I think President Trump and his ministerial team are waking up to just how dangerous it is to have people acting with a sense that they have impunity in their relationship with the United States." British foreign minister Hunt, spoke to his Saudi counterpart Adel al-Jubeir, on 21 October to convey the British view that the explanation provided was not entirely credible. On 23 October 2018 Hunt wrote he was "deeply concerned" to hear Erdoğan's describe Khashoggi's murder as "premeditated": "The world is still waiting for answers". : On 21 October responding to the statement from Saudi Arabia confirming the death of Khashoggi in a fist fight, France, Germany and the UK issued a joint statement expressing shock and condemning the killing of Khashoggi, saying there is an "urgent need for clarification of exactly what happened". The statement mentioned the Saudi explanation of the events and added: "There remains an urgent need for clarification of exactly what happened... beyond the hypotheses that have been raised so far in the Saudi investigation, which need to be backed by facts to be considered credible." On 19 November 2018 the Schengen zone, which includes most EU countries and non-EU members Norway and Switzerland, with the UK imposed travel bans on 18 Saudi nationals allegedly implicated in Khashoggi's assassination. Al Jazeera reported on 13 October that "the Arab world stays silent... there's been no official reaction from any Arab government, and hardly any condemnation from Arab media." Another news outlet, Middle East Eye, reported on 15 October that "Largely silent until Sunday, Arab leaders come out publicly in support of the kingdom after US President Donald Trump threatens 'severe punishment'." Arab League: On 14 October, the Arab League denounced any political pressure applied on Saudi Arabia and stated in an official response "It is totally unacceptable, in the context of relations between countries, to wave economic sanctions as a policy or tool to achieve political goals." Bahrain: The foreign ministry released a statement that Saudi Arabia is "the essential foundation for the security and stability of the Arab and Islamic worlds and the solid foundation and strong pillar of stability in the region". Egypt: Ahmed Hafidh, a foreign ministry spokesman, said that "Egypt reaffirms its support for the kingdom in its efforts and positions dealing with this event." Djibouti: The Republic of Djibouti expressed its full solidarity with the brotherly Kingdom and condemned the media campaign against Saudi Arabia. Lebanon: Prime Minister Saad Hariri, who himself was in 2017 allegedly kidnapped and forced to resign in Saudi Arabia, said in a statement that he stood in solidarity with Saudi Arabia "in the face of the campaigns targeting it". According to Rami George Khouri, a professor of journalism at the American University of Beirut, "The case of Jamal Khashoggi, unfortunately, is only the tip of the iceberg... it would only be the most dramatic example of a trend that has been ongoing for at least 30 to 40 years, but which has escalated under [Saudi crown prince Mohammad bin Salman]". Hezbollah: Hezbollah leader, Hassan Nasrallah said in a speech: "I tell the Saudi rulers that now is the right time to take a bold and brave stance and stop the war on Yemen... The international cover for their war on Yemen has started to crumble, especially after Khashoggi incident. The kingdom's image in the world has never been worse throughout 100 years." Jordan: Information Minister Jumana Ghunaimat said in a press statement that Jordan stands with Saudi Arabia in the face of any rumors and campaigns aimed at it without relying on facts. Kuwait: "Kuwait stands in opposition against all the accusation and unlawful campaigns targeting the Kingdom of Saudi Arabia in relation to the case of journalist Jamal Khashoggi", said a statement by the Kuwaiti cabinet on 15 October. On 24 October Kuwait's Deputy Foreign Minister Khaled al-Jarallah reiterated Kuwait support of Saudi Arabia. "So we support our brothers in the Kingdom, and denounce the unjust campaign and slander it's being subjected to", he said. Mauritania: Mauritanian Ministry of Foreign Affairs issued a statement in which "confirmed the deep relations binding it with the Kingdom of Saudi Arabia, describing them as brotherly and well-established and strongly condemned a campaign of malicious allegations against Saudi Arabia". The Islamic Republic confirmed "its confidence in the Saudi judiciary and its ability and willingness to reach the disclosure of all the circumstances surrounding the incident, and hold those involved accountable". Morocco: Morocco was one of the few Arab countries that did not come out in support of KSA over the assassination of Khashoggi. On 27 November 2018 king Mohammed VI declined Mohammed bin Salman an audience. The country requested to indefinitely postpone the 13th meeting of the Moroccan-Saudi Joint Committee meeting. Oman: "The Sultanate has followed the statement given by the brotherly Kingdom of Saudi Arabia regarding preliminary results of the tragic incident that occurred with citizen Jamal Khashoggi, may he rest in peace, and the Sultanate welcomes the transparency of the kingdom's procedures in the matter", Oman's Ministry of Foreign Affairs said in a statement on 21 October. Palestine: President Mahmoud Abbas said in a statement that "Palestine was – and shall remain – on the side of Saudi Arabia." Qatar: Spokesperson for the Ministry of Foreign Affairs Lolwah Rashid al-Khater said that the murder of Jamal Khashoggi should act as a wake-up call: "No matter how much we tried to explain, somehow it was not going through, but now especially after this spat with Canada, and before that with [the kidnapping of] the Lebanese prime minister, people started realizing that this has become a pattern somehow and they started understanding what we have been going through. And that's why I'm saying [the Khashoggi case] is a wake-up call for everyone." Tunisia: On 26 and 27 November 2018, amid Mohammed bin Salman's first trip abroad after he was accused of ordering the assassination of Khashoggi, he encountered public anger while his visit in Tunis. Protests were accompanied by statements from Tunisian unions and a dozen civil society groups decrying crown prince Mohammed's visit as an "attack on the principles" of the Arab Spring that bought democracy and freedom of expression to Tunisia. Since the Arab Spring movement began in late 2010 in Tunisia, which unseated entrenched rulers in the region, Tunisia had undergone a democratic transition and is one of the few Arab countries to allow demonstrations. These were the first protests in the Arab world against Saudi Arabia's crown prince Mohammed bin Salman. Activists had tried to have a court bar him from entering Tunisia. At the National Syndicate of Tunisian Journalists headquarters a giant banner depicted a cartoon of Mohammed bin Salman with a chainsaw and inscription reading "No to the desecration of Tunisia, the land of the revolution". The Secretary General of the National Union of Journalists, Soukaina Abdessamad, said that for a country like Tunisia striving towards democracy, it is unacceptable to receive a "dubious Crown Prince". The demonstrators shouted "Go away assassin!" and held placards showing crown prince Mohammed and US President Donald Trump holding Khashoggi. United Arab Emirates: Minister of State for Foreign Affairs Anwar Gargash advised against destabilizing and politically targeting Saudi Arabia and the effect it may cause in the region and tweeted "the repercussions of the political targeting of Saudi Arabia will be dire for those who fuel it. It remains that the success of Saudi Arabia is what the region and its people want." The UAE government commended the admission of Khashoggi's death from Saudi Arabia and the actions of apprehending those responsible and bringing them to justice. Yemen: President Abdrabbuh Mansur Hadi, who has been living in exile in Saudi Arabia since 2015, said that "The cheap political and media targeting of Saudi Arabia will not deter it from continuing its leading role in the Arab and Islamic worlds." South Africa: The South African Government "welcomes the ongoing diplomatic interaction between the Republic of Turkey and the Kingdom of Saudi Arabia, as well as the investigation which seeks to get to the bottom of this matter." China: Hua Chunying, spokeswoman of China's Foreign Ministry, said that the killing "is an unfortunate incident" and should be investigated properly. Indonesia: President Joko Widodo said he was "deeply concerned" about the killing of Khashoggi and that he wanted a transparent investigation. Widodo met with Saudi Foreign Minister Adel al-Jubeir at the presidential palace in the West Java city of Bogor. Widodo's concerns were relayed by Indonesia's foreign minister following the meeting. The minister, Retno Marsudi, told reporters that "the president is deeply concerned with the Khashoggi case and Indonesia hopes that the ongoing investigation will be transparent and meticulous." Iran: President Hassan Rouhani said that Saudi Arabia would not have murdered prominent journalist Jamal Khashoggi without American protection: "Nobody would imagine that in today's world, we witness such an organised murder and I don't think without getting support from the United States a country would dare to commit such a crime" Iranian Foreign Minister Mohammad Javad Zarif accused the United States Department of the Treasury of announcing new sanctions on Iran to "deflect" attention from the killing of the journalist. Parliament's General Director for International Affairs Hossein Amir-Abdollahian stressed that Saudi Arabia as a violator of human rights must be dropped from the UN Human Rights Council. Member of parliament Alaeddin Boroujerdi said that Saudi leadership should face trial before international tribunal for their alleged role in the crime. Grand Ayatollah Naser Makarem Shirazi said: "the murder of the journalist by the Western-backed al-Saud family proves that claims of respect for human rights by the West are just a mirage". Israel: Prime Minister Benjamin Netanyahu said the killing was "horrendous and it should be duly dealt with", whilst arguing that "it is very important for the stability of the region and the world that Saudi Arabia remain stable", and a balance should be struck between these two things in order to counter the "larger problem" of Iran. The Israeli Ambassador to the United States, Ron Dermer, accused Turkey and Qatar of "pressing hard to ruin relationships with Saudi Arabia" and emphasized the importance of the Saudi-U.S. "strategic relationship". Japan: Chief Cabinet Secretary Yoshihide Suga told a press conference that the death of Jamal Khashoggi is "extremely regretful", according to Japanese news agency Kyodo. Suga stated that Japan "strongly hopes for an early discovery of the truth and fair, transparent responses" through Turkey's investigation of the case. Malaysia: Prime Minister, Mahathir Mohamad said that the killing of Saudi journalist Jamal Khashoggi was an act of "extreme cruelty" and was unacceptable. Malaysia, he said, does not support the killing of government critics, continuing: "This is extreme cruelty, and it is not acceptable. We too have people that we do not like, but we don't kill them." Pakistan: Prime Minister Imran Khan has stated that despite the murder, Pakistan must prioritize good relations with Saudi Arabia due to an economic crisis. He also added that U.S. sanctions against Iran are affecting neighboring Pakistan, stating "The last thing the Muslim World needs is another conflict. The Trump administration is moving towards that direction." Australia: Prime Minister Scott Morrison condemned the death and announced that the Australian diplomats would not attend the business summit in Riyadh. He stated "We deplore the killing of Jamal Khashoggi. We expect the Saudi government to cooperate fully with Turkish authorities regarding the investigation of this matter. Australia will stand with all other like-minded countries in condemning this death, this killing, and we expect there to be full cooperation. Those who have been arrested will go through the proper process. And we expect the truth to be determined through that process and those responsible to be held accountable." New Zealand: The Government of New Zealand has officially condemned the killing. In a statement, Minister of Foreign Affairs Winston Peters said, "With the confirmation of the death we express our deepest condolences to Mr. Khashoggi's family and friends. Those responsible for his death must be held accountable." In the same statement, Trade Minister David Parker announced that New Zealand would not be taking part in the Future Investment Initiative in Riyadh. Argentina: In the run-up to the G20 summit in Buenos Aires, on 30 November – 1 December 2018, where Mohammed Bin Salman's attendance was scheduled, Argentine prosecutorial authorities were urged to take action against him. The Constitution of Argentina recognizes the principal of universal jurisdiction for war crimes and torture and on this basis the Spanish judge Baltasar Garzón had been able to order the arrest of the US-backed Chilean dictator Augusto Pinochet in London in 1998. On 26 November 2018 the federal judge in Buenos Aires, Ariel Lijo, accepted the writ presented by the advocacy group Human Rights Watch (HRW). Federal prosecutor Ramiro González began examining Bin Salman's role in crimes against humanity in the Saudi Arabian-led intervention in Yemen, for which he may face criminal liability due to his role as Saudi defence minister, allegations that women's rights activists have been tortured by the Saudi regime with electrocution and flogging, and his involvement in Khashoggi's assassination, which western intelligence agencies, including the CIA, had concluded he ordered. Judge Ariel Lijo formally requested the Foreign Ministry of Argentina on 29 November 2018 to seek information from Turkey, Yemen and the International Criminal Court in The Hague. He also asked for the foreign ministry to provide information about Mohammed Bin Salman's diplomatic status and immunity. British business magnate Richard Branson issued a statement on 11 October that he was suspending his advisory role for the two Saudi Vision 2030-related projects he is involved with amidst the Khashoggi controversy. Masayoshi Son, leader of Japanese IT and software conglomerate SoftBank Group, which has been a large conduit for high-tech investments of the Saudi Crown Prince, pulled out of his scheduled speech at the Future Investment Initiative (FII) business summit, which is in its second year. JPMorgan Chase CEO Jamie Dimon, BlackRock CEO Larry Fink, The Blackstone Group CEO Stephen Schwarzman, Google Cloud Chief Executive Diane Greene, Viacom CEO Robert Bakish, Uber CEO Dara Khosrowshahi, AOL co-founder Steve Case, Richard Branson's Virgin Group, World Bank President Jim Yong Kim, the Financial Times, Bloomberg, CNN, The New York Times, The Economist, CNBC, Brookfield Asset Management, Canada Pension Plan Investment Board, and Ford Motor chairman Bill Ford all withdrew their participation in the FII summit. Y Combinator CEO Sam Altman announced that he is suspending his "involvement with the NEOM advisory board until the facts regarding Jamal Khashoggi's disappearance are known". Siemens CEO Joe Kaeser pulled out the day before conference start. The French finance minister Bruno Le Maire, Dutch finance minister Wopke Hoekstra, British Secretary of State for International Trade Liam Fox, United States Secretary of the Treasury Steven Mnuchin, and International Monetary Fund Managing Director Christine Lagarde withdrew their participation in the FII conference as well. The Government of Canada has also indicated that they have no intention of sending anyone to the conference. Bahrain's foreign minister Khalid bin Ahmed Al Khalifa called for a boycott of Uber in Bahrain and Saudi Arabia, urging to "boycott anyone who boycotts Saudi Arabia". The Public Investment Fund of Saudi Arabia invested $3.5 billion in Uber in 2016. Four American senators, including two members of the Committee on Foreign Relations, urged professional wrestling company WWE (which involves sitting Administrator of the Small Business Administration Linda McMahon) to reconsider its business relationship with Saudi Arabia, and particularly their WWE Crown Jewel event. Knox County Mayor Glenn Jacobs, who wrestles for WWE under the ring name Kane, took part in the show as scheduled. His spokesman said: "Mayor Jacobs won't speculate on Mr. Khashoggi's disappearance. However, he and his family are in the mayor's thoughts and prayers." After briefly removing ticket and venue information from its website, WWE announced on 25 October that the Crown Jewel event would go on as planned, and the show aired on 2 November. Saudi journalist Jamal Khashoggi wrote on Twitter before his murder: "What has happened to us? How can someone like Dr. Walid Fitahi be arrested and what are the justifications for it? Of course, everyone is in a state of confusion and helplessness, there is no one you can go to, no public prosecutor has questioned. God help us." Ritz-Carlton hotel was used to hold many of the prominent prisoners by the Saudi government in 2017, according to Saudi activists. Aljazeera reported, Dr.Fitaihi told a friend he was "blindfolded, stripped of his underwear and bound to a chair". Also, the daily report said, The Saudi government tortured him with electricity shocking "what appears to have been a single session of torture that lasted about an hour". Reports also said, he was whipped so severely, he could not sleep on his back for days. On 18 October, Twitter suspended a number of suspected bot accounts constructed to support Mohammed bin Salman and appearing to smear Khashoggi. Bill & Melinda Gates Foundation has stopped its cooperation with nonprofit MiSK Foundation chaired by Saudi crown prince Mohammad bin Salman. BMGF had pledged $5 million to MiSk but has cancelled most of it, calling the murder "extremely troubling". ^ a b c d e f g "CIA concludes Saudi crown prince ordered Jamal Khashoggi's assassination". The Washington Post. 16 November 2018. ^ a b c ""Where Is Jamal? ": Fiancee Of Missing Saudi Journalist Demands To Know". NDTV. The Washington Post. 9 October 2018. Retrieved 13 October 2018. ^ a b "Gen. Asiri named deputy head of General Intelligence; Ibrahim Al-Omar is new SAGIA chairman". Saudi Gazette. 26 April 2017. Retrieved 13 October 2017. ^ a b "Arab Source: Khashoggi Murdered by Ex-Spokesman of Saudi-Led Coalition in War on Yemen". Fars News Agency. Retrieved 10 October 2018. ^ a b Fahim, Kareem (6 October 2018). "Saudi forensic expert is among 15 named by Turkey in disappearance of journalist Jamal Khashoggi". The Washington Post. Retrieved 14 October 2018. ^ a b "'Tell Your Boss': Recording Is Seen to Link Saudi Crown Prince More Strongly to Khashoggi Killing". The New York Times. 12 November 2018. ^ a b c "Jamal Khashoggi: An unauthorized Turkey source says journalist was murdered in Saudi consulate". BBC News. 7 October 2018. Retrieved 12 December 2018. ^ a b c d e Saphora Smith (25 October 2018). "Saudis change Khashoggi story again, admit killing was 'premeditated'". NBC News. ^ a b "Speakers". International Public Relations Association – Gulf Chapter (IPRA-GC). 2012. Archived from the original on 11 May 2012. Retrieved 10 May 2012. ^ McKernan, Bethan; Wintour, Patrick; Swaine, Jon (21 October 2018). "Jamal Khashoggi death: give us the facts, western countries tell Saudis". The Guardian. Retrieved 23 October 2018. ^ Coskun, Orhan. "Exclusive: Turkish police believe Saudi journalist Khashoggi was killed in consulate – sources". Reuters. Retrieved 15 October 2018. ^ "Turkey to search Saudi Consulate for missing journalist". The Washington Post. 9 October 2018. Retrieved 13 October 2018. ^ Nicholas, Cecil (10 October 2018). "Jamal Khashoggi: Saudi journalist 'cut up with bone saw in Pulp Fiction murder at consulate in Istanbul'". London Evening Standard. Retrieved 14 October 2018. ^ a b c "Jamal Khashoggi's Killing: Here's What We Know". New York Times. 19 October 2018. Retrieved 29 October 2018. ^ a b c d "Saudi foreign minister says killing of Khashoggi was 'tremendous mistake'". CNN. 28 October 2018. Retrieved 28 October 2018. ^ a b "Who tried to cover up the Khashoggi assassination?". Daily Sabah. Retrieved 29 October 2018. ^ a b c d e f g Sullivan, Kevin; Morris, Loveday; El-Ghobashy, Tamer (19 October 2018). "Saudi Arabia fires 5 top officials, arrests 18 Saudis, saying Khashoggi was killed in fight at consulate". The Washington Post. Retrieved 20 October 2018. ^ a b "Turkish prosecutors 'find evidence of Jamal Khashoggi killing'". Al Jazeera. 15 October 2018. Retrieved 17 October 2018. ^ a b "Khashoggi murder: CIA director Gina Haspel briefs Trump". BBC. 26 October 2018. Retrieved 26 October 2018. ^ a b Hubbard, Ben. "Jamal Khashoggi Is Dead, Saudi Arabia Says". New York Times. Retrieved 19 October 2018. ^ a b c McKirdy, Euan; Sirgany, Sarah; Ward, Clarissa. "Jamal Khashoggi died in fight at Istanbul consulate, Saudi state TV claim". CNN. Retrieved 20 October 2018. ^ "Saudi official gives new version of Khashoggi killing: Report". www.aljazeera.com. ^ Uras, Umut (31 October 2018). "Turkey: Khashoggi strangled immediately after entering consulate". Al Jazeera. ^ a b "In unusual statement disputing the CIA and filled with exclamation points, Trump backs Saudi ruler after Khashoggi killing". NBC News. Retrieved 22 November 2018. ^ a b CNN, Sarah El Sirgany, Nada Altaher and Bianca Britton,. "Saudis seek death penalty, details Khashoggi's death". ^ a b "Khashoggi Case Update: Saudi Prosecutor Says 5 Suspects Should Be Executed". ^ "Dänemark stoppt Waffenlieferungen an Saudi-Arabien wegen Fall Khashoggi". Die Zeit. 22 November 2018. ^ a b "Norway suspends future arms exports to Saudi Arabia". Middle East Eye. 9 November 2018. Retrieved 9 November 2018. ^ Haag, Matthew; Grynbaum, Michael M. (11 December 2018). "Time Names Person of the Year for 2018: Jamal Khashoggi and Other Journalists" – via NYTimes.com. ^ Business, Jill Disis and Brian Stelter, CNN. "Time Person of the Year: 'The Guardians and the War on Truth'". CNN. Retrieved 7 February 2019. ^ Hendley, Paul (17 May 2010). "Saudi newspaper head resigns after run-in with conservatives". Al Hdhod. Retrieved 11 October 2018. ^ "Turkey says journalist Khashoggi 'killed at Saudi consulate'". France 24. 7 October 2018. ^ Jamal Khashoggi. "Saudi Arabia wasn't always this repressive. Now it's unbearable". Washington Post. Retrieved 7 October 2018. ^ "Khashoggi was victim of Saudi internet trolls, friend tells Euronews". 23 October 2018. ^ "How the man behind Khashoggi murder ran the killing via Skype". Reuters. 22 October 2018. ^ Benner, Katie; Mazzetti, Mark; Hubbard, Ben; Isaac, Mike (20 October 2018). "Saudis' Image Makers: A Troll Army and a Twitter Insider". The New York Times. ^ a b Elias Groll. "The Kingdom's Hackers and Bots Saudi Arabia is using cutting-edge technology to track dissidents and stifle dissent". foreignpolicy.com. Retrieved 19 October 2018. ^ a b c Bel Trew (20 October 2018). "Bee stung: Was Jamal Khashoggi the first casualty in a Saudi cyberwar?". The Independent. ^ Jamal Khashoggi (17 October 2018). "What the Arab world needs most is free expression". The Washington Post. ^ Stancati, Margherita; Said, Summer (2 November 2018). "Behind Saudi Prince's Crackdown Was Confidant Tied to Khashoggi Killing". Retrieved 7 February 2019 – via www.wsj.com. ^ "Amnesty International Among Targets of NSO-powered Campaign". amnesty.org. Retrieved 1 October 2018. ^ Loveday Morris and Zakaria Zakaria (17 October 2018). "Secret recordings give insight into Saudi attempt to silence critics". The Washington Post. ^ Avi Asher-Schapiro (31 October 2018). "How the Saudis may have spied on Jamal Khashoggi". Committee to Protect Journalists. ^ Brewster, Thomas. "Exclusive: Saudi Dissidents Hit With Stealth iPhone Spyware Before Khashoggi's Murder". Forbes. Retrieved 7 February 2019. ^ "Khashoggi messages reveal sharp criticism of MBS". Youtube. CNN. 2 December 2018. ^ Nina dos Santos and Michael Kaplan (3 December 2018). "Jamal Khashoggi's private WhatsApp messages may offer new clues to killing". CNN. ^ David D. Kirkpatrick (2 December 2018). "Israeli Software Helped Saudis Spy on Khashoggi, Lawsuit Says". NYT. ^ "Crown prince sought to lure Khashoggi back to Saudi Arabia and detain him, U.S. intercepts show". Washington Post. 10 October 2018. Retrieved 10 October 2018. ^ "Saudis are said to have lain in wait for Jamal Khashoggi". Washington Post. 10 October 2018. Retrieved 9 October 2018. ^ "For Khashoggi, a Tangled Mix of Royal Service and Islamist Sympathies". The New York Times. 14 October 2018. ^ a b Heather Timmons (19 October 2018). "What does the US owe Jamal Khashoggi?". Quartz. Retrieved 25 October 2018. Khashoggi was living in the United States on an 'O' visa ... Three of Khashoggi's children are US citizens. ^ a b Hatice Cengiz (9 October 2018). "Please, President Trump, shed light on my fiance's disappearance". Washington Post. ^ a b Alexander, Nazaryan (15 October 2018). "Think tanks reconsider Saudi support amid Khashoggi controversy". Yahoo News. ^ "NSA: White House Knew Jamal Khashoggi Was In Danger". Observer. 10 October 2018. ^ "Außenminister Saudi-Arabiens sieht Tötung Khashoggis als Fehler". Der Standard (in German). 21 October 2018. Retrieved 25 October 2018. ^ "US intelligence being sued for failing to warn Khashoggi of threat". The Middle East Monitor. 21 November 2018. ^ "Knight Institute Sues to Learn Whether U.S. Intelligence Agencies Complied With "Duty to Warn" Reporter Jamal Khashoggi of Threats to His Life". Knight First Amendment Institute. 20 November 2018. ^ Josh Lederman (22 October 2018). "Khashoggi met with crown prince's brother amid efforts to return him to Saudi Arabia". ^ "Did Embassy in DC send Khashoggi to Istanbul?". Euronews. Reuters and NBC. 9 October 2018. ^ Chulov, Martin; Wintour, Patrick (9 October 2018). "Jamal Khashoggi: Turkey hunts black van it believes carried body". the Guardian. ^ News, A. B. C. (30 October 2018). "Though Khashoggi didn't suspect he may be in danger, he was still apprehensive". ABC News. ^ a b "What Happened to Jamal Khashoggi?". The New York Times. 3 October 2018. ^ "Key Moments Surrounding the Killing of Jamal Khashoggi". ^ a b "Erdogan on Khashoggi vanishing: Upsetting this happens in Turkey". Al Jazeera. 8 October 2018. Retrieved 19 October 2018. ^ "Saudi journalist Jamal Khashoggi disappears after entering Saudi Arabia's consulate in Istanbul". Australian Broadcasting Corporation. Reuters. 7 October 2018. ^ "A Columnist Walked Into Saudi Arabia's Consulate. Then He Went Missing". Retrieved 11 October 2018. ^ "Seine Verlobte im Interview: Aus diesem Grund ging Khashoggi beim zweiten Mal unbesorgt in das Konsulat". Die Welt (in German). 26 October 2018. ^ "News snippet". Saudi Press Agency. 4 October 2018. ^ "Jamal Khashoggi: Washington Post blanks out missing Saudi writer's column". BBC. 5 October 2018. ^ Ingber, Sasha (4 October 2018). "Saudi Critic Vanishes After Visiting Consulate, Prompting Fear And Confusion". NPR. ^ Chulov, Martin; McKernan, Bethan (10 October 2018). "Jamal Khashoggi: details of alleged Saudi hit squad emerge". Retrieved 11 October 2018. ^ Gall, Carlotta (3 October 2018). "What Happened to Jamal Khashoggi? Conflicting Reports Deepen a Mystery". The New York Times. ^ a b "Khashoggi case: CCTV disappears from Saudi consulate in Turkey". The Guardian. 9 October 2018. ^ a b Robinson, Joan (13 October 2018). "Jamal Khashoggi Case: A contemporary thriller". National Herald. Retrieved 14 October 2018. ^ Coskun, Orhan (6 October 2018). "Exclusive: Turkish police believe Saudi journalist Khashoggi was killed in consulate – sources". Reuters. ^ a b c "Turkish police suspect Saudi journalist Khashoggi was killed at consulate". Middle East Eye. 6 October 2018. ^ Fahim, Kareem (6 October 2018). "Turkey concludes Saudi journalist Jamal Khashoggi killed by 'murder' team, sources say". The Washington Post. ^ a b "Saudi journalist 'killed inside consulate' – Turkish sources". The Guardian. 6 October 2018. ^ a b c d e f Abu Sneineh, Mustafa (22 October 2018). "REVEALED: The Saudi death squad MBS uses to silence dissent". Middle East Eye. Archived from the original on 22 October 2018. Retrieved 22 October 2018. ^ Harris, Shane; Mekhennet, Souad; Hudson, John; Gearan, Anne (11 October 2018). "Turks tell U.S. officials they have audio and video recordings that support conclusion Khashoggi was killed". The Washington Post. ^ "We've asked for Khashoggi tape evidence – Trump". BBC News. ^ "Saudi claims that Khashoggi died in a 'brawl' draw immediate skepticism". Washington Post. Retrieved 23 October 2018. ^ "Saudis preparing to admit Jamal Khashoggi died during interrogation, sources say". CNN. Retrieved 15 October 2018. ^ "Saudis preparing to admit Jamal Khashoggi died during interrogation, sources say". NY Post. Retrieved 15 October 2018. ^ "Saudis preparing to admit Jamal Khashoggi died during interrogation, sources say". CNN. Retrieved 11 October 2018. ^ a b "Jamal Khashoggi's killing took seven minutes, Turkish source tells MEE". Middle East Eye. Retrieved 16 October 2018. ^ "Jamal Khashoggi Dismembered Alive, Saudi Killer Listened To Music During Murder". Inquisitr. Retrieved 16 October 2018. ^ Merve Şebnem Oruç. "A 'rogue state' behind Khashoggi's disappearance, not 'rogue killers'". Daily Sabah. Retrieved 19 October 2018. ^ "Turkey Details Alleged Killing of Saudi Journalist". The Wall Street Journal. Retrieved 17 October 2018. ^ "Jamal Khashoggi Tortured In Front Of Top Saudi Diplomat: Reports". Huffington Post. Retrieved 17 October 2018. ^ "Saudi consul general leaves Turkey for Riyadh: Turkish broadcasters". Reuters. Retrieved 17 October 2018. ^ "Jamal Khashoggi case: Saudi Arabia says journalist killed in fight". BBC. 20 October 2018. Retrieved 23 October 2018. ^ a b c d Rashad, Marwa (21 October 2018). "Amid skepticism, Saudi official provides another version of..." Reuters. Retrieved 21 October 2018. ^ "How the man behind Khashoggi murder ran the killing via Skype". Reuters. 22 October 2018. Retrieved 22 October 2018. ^ "'I'm suffocating': Khashoggi's last words, says Turkish reporter". Al Jazeera English. Archived from the original on 11 November 2018. Retrieved 11 November 2018. ^ Robertson, Nick (9 December 2018). "'I can't breathe.' Jamal Khashoggi's last words disclosed in transcript, source says". CNN. Retrieved 12 December 2018. ^ "Turkey has second audio recording on Khashoggi killing: Columnist – Turkey News". Hurriyetdailynews.com. 16 November 2018. Retrieved 22 November 2018. ^ Wilkinson, Bard; Robertson, Nic; Smith-Spark, Laura (12 October 2018). "Turkey has 'shocking' evidence of Saudi journalist's murder". CNN. Retrieved 12 October 2018. ^ a b Wintour, Patrick; Chulov, Martin (15 October 2018). "Donald Trump says 'rogue killers' may have murdered Khashoggi". The Guardian. Retrieved 15 October 2018. ^ "Jamal Khashoggi: Joint search team enters Saudi consulate". Retrieved 15 October 2018. ^ "Turkish authorities to search Saudi consulate two weeks after journalist vanished". news.sky.com. Retrieved 15 October 2018. ^ "Turkey's Erdogan says some material at Saudi consulate painted over". Reuters. Retrieved 17 October 2018. ^ McKernan, Bethan; Borger, Julian (18 October 2018). "Search for Khashoggi's remains focuses on consul general's house". the Guardian. ^ "Jamal Khashoggi case: Turkish police 'search forest'". BBC. Retrieved 19 October 2018. ^ "Jamal Khashoggi case: All the latest updates". Al Jazeera. Retrieved 19 October 2018. ^ "CIA director Gina Haspel travels to Turkey for Khashoggi probe, sources say". haaretz.com. 23 October 2018. ^ "CIA director Haspel travels to Turkey for Khashoggi case: source". Reuters. 22 October 2018. Retrieved 24 October 2018. ^ "CIA director flies to Turkey amid growing controversy over Jamal Khashoggi killing". Washington Post. 22 October 2018. Retrieved 24 October 2018. ^ "Jamal Khashoggi: Erdogan vows to reveal all that happened 'in all its nakedness'". Sky News. 21 October 2018. Retrieved 22 October 2018. ^ a b c d "Mustafa al-Madani identified as Saudi 'body double' in Khashoggi's clothes, Turkish source says". CNN. 23 October 2018. Retrieved 25 October 2018. ^ a b c Tuysuz, Gul; Abdelaziz, Salma; Balkiz, Ghazi; Formanek, Ingrid; Ward, Clarissa (23 October 2018). "Surveillance footage shows Saudi 'body double' in Khashoggi's clothes after he was killed, Turkish source says". CNN. Istanbul. Archived from the original on 23 October 2018. Retrieved 23 October 2018. ^ a b Wintour, Patrick; McKernan, Bethan (22 October 2018). "CCTV footage appears to show Khashoggi body double in Istanbul". the Guardian. Retrieved 24 October 2018. ^ a b Ward, Clarissa (22 October 2018). "Who are the Saudi suspects in the Khashoggi case". CNN/Youtube. ^ "Video appears to show Saudi body double in Jamal Khashoggi's clothes". The Washington Post. Retrieved 25 October 2018. ^ "The Khashoggi Body Double – and Mounting Evidence of a Premeditated Murder". The New Yorker. 22 October 2018. ^ a b c d "Saudis now admit journalist was murdered". BBC News. 22 October 2018. Retrieved 22 October 2018. ^ "'Saudis did not let Turkey search well at consulate'". Anadolu Agency. 24 October 2018. ^ "Saudi officials refuse Turkish police search at well in Istanbul consulate – Anadolu". Reuters. 24 October 2018. ^ "Konsolosluk bahçesindeki kuyuda arama yapılacak". NTV (Turkey) (in Turkish). 24 October 2018. ^ "Turkish police receive permission to search well at Saudi consulate: NTV". Reuters. 24 October 2018. ^ "Saudi Arabia again changes its story on Khashoggi killing". Washington Post. 25 October 2018. Retrieved 26 October 2018. ^ "No Khashoggi DNA in Saudi consulate well". SBS News. 25 October 2018. Retrieved 26 October 2018. ^ a b "Fall Khashoggi: Menschenrechtsexpertin fordert Uno-Untersuchung". Neue Zürcher Zeitung (in German). 26 October 2018. Retrieved 31 October 2018. ^ "Khashoggi Killing Likely an Extrajudicial Execution – Press Conference (25 October 2018)". Youtube. United Nations. 25 October 2018. ^ a b Koseoglu, Sinem (28 October 2018). "Turkey to present probe findings to Saudi, request new search". Al Jazeera. ^ "Turkey demands truth over Khashoggi killing as Saudi prosecutor visits". Reuters. 29 October 2018. Retrieved 29 October 2018. ^ Wintour, Patrick; McKernan, Bethan (29 October 2018). "Turkey refuses to share all Khashoggi evidence with Saudis". the Guardian. ^ "Saudi prosecutor joins probe at Saudi consulate in Istanbul for Khashoggi investigation – Turkey News". Hürriyet Daily News. Retrieved 31 October 2018. ^ a b "Khashoggi's fiancee calls on Trump to prevent 'cover-up'". Washington Post. 31 October 2018. ^ a b c d e f "Turkey gave Khashoggi tapes to European nations, Erdogan says". Reuters. 10 November 2018. Retrieved 10 November 2018. ^ "Prosecutor says Khashoggi was strangled and dismembered, but fate of body still a mystery". Washington Post. 31 October 2018. ^ "Turkey's Erdogan-Khashoggi Killing Ordered at Saudi 'Highest Levels'". ^ "Khashoggi's body was 'dissolved' after murder – Erdogan advisor". Khashoggi's body was 'dissolved' after murder – Erdogan advisor. ^ "Erdogan adviser said Khashoggi's body was dismembered and..." Reuters. ^ "Jamal Khashoggi's body likely burned in large oven at Saudi home". Al Jazeera News. 4 March 2019. ^ Recep Tayyip Erdogan (2 November 2018). "Saudi Arabia still has many questions to answer about Jamal Khashoggi's killing". Washington Post. ^ a b "Saudi Arabia to pay compensation to Khashoggi family, fiancee: Turkish official". Middle East Eye. 6 November 2018. Retrieved 10 November 2018. ^ a b c "audi team sent to Istanbul to 'cover up' Khashoggi murder: Turkish official". Middle East Eye. 5 November 2018. Retrieved 10 November 2018. ^ "Erdoğan, Trump meet over dinner in French capital". Yeni Safak. 11 November 2018. ^ "Will Saudi Arabia ever reveal who ordered the killing of Jamal Khashoggi? Luciano Zaccara (Assistant Professor of Gulf Politics at the Gulf Studies Center at Qatar University), Matthew Bryza (Former White House official, now a non-Resident Senior Fellow at the Atlantic Council), Selva Tor (Professor of Political Science and International Relations at Koç University)". Al Jazeera English. 11 November 2018. ^ Madjid Zerrouky (12 November 2018). "Le premier ministre canadien confirme l'existence d'enregistrements de l'assassinat du journaliste". Le Monde. S'il y a un problème de communication entre les différentes institutions au sein du gouvernement français, il appartient aux autorités françaises et non à la Turquie de régler ce problème. ^ Patrick, Patrick (12 November 2018). "Trudeau says Canada received Turkish tape of Khashoggi murder". The Guardian. ^ "Geheimdienst-Kooperation Frankreich widerspricht Türkei – offenbar keine Aufnahmen zu Khashoggi-Mord erhalten". Der Spiegel. dop/Reuters/AP/AFP. 12 November 2018. ^ a b Richard Spencer (13 November 2018). "'Tell your boss' recording could link Saudi prince to Khashoggi's death". The Times. Retrieved 22 November 2018. ^ Reuters (14 December 2018). "Khashoggi killer heard saying 'I know how to cut' on audio – Erdoğan". The Guardian. Retrieved 15 December 2018. ^ "CIA concludes Saudi prince ordered Khashoggi's killing (Interview with Fawaz A. Gerges, chair of Contemporary Middle East Studies at the LSE". Youtube. CBC News. 17 November 2018. ^ Donald J. Trump (20 November 2018). "On Standing with Saudi Arabia". whitehouse.gov. ^ Michael Hirsh (20 November 2018). "What Happened to Trump's Khashoggi Report?". Foreign Policy. Indeed, in his extraordinary statement on Tuesday, Trump laid out one of the most naked and amoral declarations of American realpolitik – the idea that the United States is interested only in material and geopolitical benefit, and no longer cares to promulgate its values – of any president in U.S. history. ^ "With Khashoggi decision, Trump places strategic interests above human rights". Youtube. PBS NewsHour. 20 November 2018. ^ "Trump contradicts CIA assessment on Khashoggi killing". FoxNews.com. 21 November 2018. ^ "CIA holds 'smoking gun phone call' of Saudi Crown Prince on Khashoggi murder". Hürriyet. 22 November 2018. ^ "CIA Has Recording of Saudi Crown Prince Ordering Khashoggi Silenced". Haaretz. Reuters. 22 November 2018. ^ "Turkey says the CIA has a 'smoking gun' tape nailing the Saudi crown prince in the Khashoggi case". San Francisco Chronicle. 22 November 2018. ^ "Turkish media: CIA has recording of MBS ordering Khashoggi murder". Youtube. Al Jazeera English. 22 November 2018. ^ "CIA Intercepts Underpin Assessment Saudi Crown Prince Targeted Khashoggi". The Wall Street Journal. 1 December 2018. ^ "Saudis: Saudi-Commissioned Report Contests U.S. Finding About Khashoggi's Killing". The Wall Street Journal. 7 February 2019. ^ Feis, Aaron. "Khashoggi's son meets with Saudi king and crown prince". Nypost.com. Retrieved 25 October 2018. ^ "Twitter storm after Khashoggi's son meets Saudi crown prince". Al Jazeera. 24 October 2018. Retrieved 25 October 2018. ^ Walsh, Nick Paton (24 October 2018). "Meeting Khashoggi's son could backfire for bin Salman". CNN. Retrieved 24 October 2018. ^ McKernan, Bethan (25 October 2018). "Khashoggi's son leaves Saudi Arabia as prosecutor says killing was planned". The Guardian. Retrieved 22 November 2018. ^ "Photos Purport to Show Hit Squad Sent to Kill Saudi Writer". Time. Retrieved 14 October 2018. ^ "Turkish police identify 5 suspects linked to Khashoggi murder: report". Daily Sabah. Retrieved 17 October 2018. ^ "15-member Saudi 'intel squad' sent to target WP's Khashoggi identified". Daily Sabah. Retrieved 10 October 2018. ^ Hearst, David (17 October 2018). "Exclusive: Seven of bin Salman's bodyguards among Khashoggi suspects". Middle East Eye. Retrieved 10 December 2018. ^ a b c d e "Khashoggi case: Report links suspects to Saudi prince". The Straits Times. 18 October 2018. ^ "One of the people believed to have been involved in Jamal Khashoggi's disappearance reportedly identified as frequent travel companion of Mohammed bin Salman". Business Insider. 17 October 2018. ^ Matheson, Rob (17 October 2018). "Who are the Saudi suspects in the Khashoggi case". Al Jazeera English. ^ "One of the men suspected of killing Jamal Khashoggi reportedly died in a car crash after returning to Saudi Arabia". Business Insider. 19 October 2018. Retrieved 18 October 2018. ^ "Saudi who arrived in Turkey day of Khashoggi disappearance dies in 'traffic accident'". New York Post. 18 October 2018. Retrieved 18 October 2018. ^ "One of 15 Saudis that targeted Khashoggi dies in suspicious car accident". Yeni Şafak (in Turkish). Retrieved 18 October 2018. ^ a b c "Saudi dissidents fear 'long arm' of state after Khashoggi murder". AFP. Retrieved 2 November 2018. ^ a b c d "Riyadh tried to 'trap' us in overseas embassies: Saudi dissidents". PressTV. Retrieved 22 October 2018. ^ "Saudi dissidents fear 'long arm' of state after Khashoggi murder". Digital Journal. Retrieved 22 October 2018. ^ a b c "Khashoggi death: How Saudi Arabia altered its account". BBC. 22 October 2018. Retrieved 25 October 2018. ^ "Jamal Khashoggi's son has left Saudi Arabia". CNN. 25 October 2018. Retrieved 25 October 2018. ^ "Saudi Crown Prince Discusses Trump, Aramco, Arrests: Transcript". www.bloomberg.com. Retrieved 10 October 2018. ^ "Saudi Arabia's US ambassador condemns 'malicious leaks and grim rumors' surrounding Khashoggi disappearance". Arab News. 9 October 2018. Retrieved 10 October 2018. ^ a b c "Is This the Beginning of the End of the U.S.-Saudi Alliance?". The Intercept. 11 October 2018. ^ a b "Saudi Arabia says it will hit back at 'threats' over Jamal Khashoggi". The Guardian. 14 October 2018. ^ "Saudi Arabia Breaks 45-Year Taboo With Veiled Threat to Use Oil as a Weapon". Bloomberg. 15 October 2018. ^ "Saudi Media Casts Khashoggi Disappearance as a Conspiracy, Claims Qatar Owns Washington Post". The Intercept. 13 October 2018. ^ "Saudi Arabia Delivers $100 Million Pledged to U.S. as Pompeo Lands in Riyadh". The New York Times. 17 October 2018. Retrieved 22 October 2018. ^ "U.S. Welcomes Saudi Contribution for Stabilization Efforts in Syria". Retrieved 23 October 2018. ^ Hudson, John (17 October 2018). "Saudi Arabia transfers $100 million to U.S. amid crisis over Khashoggi". National Security. The Washington Post. Retrieved 22 October 2018. ^ a b c d "Erdogan demands Saudi Arabia reveal the location of Jamal Khashoggi's body". CNN. Retrieved 26 October 2018. ^ a b "Former Saudi Official Rejects Outside Probe of Journalist's Death". WSJ. 9 November 2018. ^ "Saudis blame 'fistfight' for Jamal Khashoggi's death". The Washington post. 20 October 2018. Retrieved 26 October 2018. ^ "Saudi Arabia admits Jamal Khashoggi killed in Istanbul consulate". Aljazeera. 20 October 2018. Retrieved 26 October 2018. ^ "Saudi Arabia calls Khashoggi killing 'grave mistake', says prince not aware". Reuters. 21 October 2018. Retrieved 26 October 2018. ^ ""Saudi Public Prosecutor: Preliminary Investigations into Case of Citizen Jamal Khashoggi Showed his Death", Saudi Press Agency". Spa.gov.sa. Retrieved 22 November 2018. ^ McKirdy, Euan; Sirgany, Sarah; Ward, Clarissa. "Jamal Khashoggi died in fight at Istanbul consulate, Saudi state TV claim". CNN. Retrieved 20 October 2018. ^ "Royal Order Terminating Services of A Number of General Intelligence's Officers". Saudi Press Agency. 19 October 2018. ^ "Royal Order Relieving Saud bin Abdullah Al-Qahtani of his Post As Advisor at Royal Court". Saudi Press Agency. 19 October 2018. ^ "Royal Order Relieving Deputy President of General Intelligences of his Post". Saudi Press Agency. 19 October 2018. ^ "Saudi Arabia admits Jamal Khashoggi killed in Istanbul consulate". www.aljazeera.com. Retrieved 20 October 2018. ^ "Khashoggi died in consulate fight – Saudis". BBC News. 20 October 2018. Retrieved 20 October 2018. ^ Wright, Robin (20 October 2018). "For Jamal Khashoggi, There Is No Robert Mueller". newyorker.com. Retrieved 20 October 2018. ^ "Exclusive: Saudi foreign minister on Khashoggi investigation". Youtube. Fox News. 21 October 2018. ^ McKernan, Bethan; Wintour, Patrick (22 October 2018). "Saudi king and prince phone Khashoggi's son to give condolences". the Guardian. Retrieved 23 October 2018. ^ CNN, Euan McKirdy,. "Saudi foreign minister says killing of Khashoggi was 'tremendous mistake'". CNN. Retrieved 22 October 2018. ^ "Public Prosecution: Information from Turkish Side Indicates that Suspects in Khashoggi Case have Committed their Act with Premeditated Intention". Saudi Press Agency. 25 October 2018. ^ "Jamal Khashoggi's murder 'premeditated' – Saudi prosecutor". BBC. 25 October 2018. ^ "Saudi foreign minister says CIA assessment on Khashoggi murder is false". Straits Times. Reuters. 20 November 2018. ^ Bitte Hammargren. "Cracks in the Saudi system" (PDF). FOI Swedish Defence Research Agency. Retrieved 20 November 2018. ^ a b c d "Exclusive – After Khashoggi murder, some Saudi royals turn against king's favourite son". Reuters. 19 November 2018. ^ "Mujtahidd: Prince Ahmed bin Abdulaziz returns to Saudi Arabia". Middle East Monitor. 30 October 2018. ^ David Hearst (30 October 2018). "EXCLUSIVE: Senior Saudi prince flies home to tackle MBS succession". Middle East Eye. ^ Kalin, Stephen (31 October 2018). "Senior Saudi prince returns home amid Khashoggi murder crisis". Reuters. ^ By David D. Kirkpatrick and Ben Hubbard. "Senior Saudi Prince Returns to Kingdom as Royals Confront Khashoggi Crisis". nytimes. ^ "Return of the Prince". The Statesman. Retrieved 7 November 2018. ^ Nic Robertson and Lauren Said-Moorhouse (2 November 2018). "Saudi Crown Prince's uncle returns to Riyadh after absence". CNN. ^ David Hearst. "Call for coup in Saudi: Dissident prince urges uncles to seize power". Middle East Eye. ^ Jamie Dettmer (31 October 2018). "Pressure Mounts on Saudi Crown Prince". Voice of America News. ^ David Hearst (3 November 2018). "Why Mohammed bin Salman is now circling the wagons". Middle East Monitor. ^ MEE and agencies. "Saudi Prince Alwaleed's brother freed amid Khashoggi pressure: Reports". Middle East Eye. ^ "Saudi Prince Khaled Bin Talal released from detention". Middle East Monitor. 3 November 2018. ^ "Saude royal family". Reuters. 22 October 2018. ^ Concepción de León (20 October 2018). "Saudi Journalist Jamal Khashoggi Was Killed While in Exile. These Books Explain the Country He Left". The New York Times. ^ Madawi Al-Rasheed (5 November 2018). "Why the U.S. Can't Control MBS Reining in the Rogue Prince". Foreign Affairs. ^ Gul Tuysuz; Sheena McKenzie (9 October 2018). "Turkey's President: Saudis should prove missing journalist left consulate". CNN. ^ "Turkey's strange shifting story on Saudi critic Jamal Khashoggi suggests a dark turn from Saudi Arabia". Business Insider. 11 October 2018. ^ a b "Turkey 'will not allow cover-up' after Saudi Arabia claims Jamal Khashoggi died in 'fist fight'". ITV News. 20 October 2018. ^ "Pour Erdogan, l'assassinat de Khashoggi a été un "meurtre politique prémédité"". Courrier international (in French). 23 October 2018. ^ "Erdogan: "Khashoggi was murdered in a ferocious manner"". CNN. 23 October 2018. Retrieved 23 October 2018. ^ Kuhlmann, Jan (23 October 2018). "Fall Khashoggi: USA kündigen Visa-Entzug und weitere Sanktionen an". Die Welt (in German). Retrieved 24 October 2018. ^ Batrawy, Aya; Torchia, Christopher. "Saudi Arabia Again Changes Its Story on Khashoggi Killing". US News. ^ "The Latest: Prosecutor: Khashoggi was strangled, dismembered". Associated Press. 31 October 2018. Retrieved 31 October 2018. ^ "Khashoggi murder: Body 'dissolved in acid'". BBC News. 2 November 2018. ^ a b "Erdogan champions Khashoggi while trampling Turkish journalists and dissidents". SBS World News. 9 November 2018. ^ "UN executions expert to visit Turkey to lead Khashoggi inquiry". The Guardian. 24 January 2019. ^ Schwartz, Jason (9 October 2018). "'I know nothing': Trump's stance toward missing Saudi journalist sparks concern". Politico. Retrieved 11 December 2018. ^ Borger, Julian (9 October 2018). "Jamal Khashoggi: US calls on Saudi Arabia to be 'transparent' about missing journalist". The Guardian. ^ McKernan, Bethan (16 October 2018). "Jamal Khashoggi: US secretary of state meets Saudi king for crisis talks". The Guardian. ^ "Jamal Khashoggi: Pressure grows on Saudis as US envoy meets king". BBC. BBC. Retrieved 16 October 2018. ^ "Jamal Khashoggi disappearance: 'Hell to pay' for Saudi Arabia if journalist was murdered, Lindsey Graham says". The Independent. 10 October 2018. ^ "After Six Days, Trump 'Concerned' Over Saudi Journalist Disappearance in Turkey". Haaretz. 9 October 2018. ^ "US-Saudi relations are imperiled by journalist Jamal Khashoggi's disappearance". CNBC. 12 October 2018. ^ "U.S. weapons makers rattled over Saudi Arabia deals". Reuters. 12 October 2018. ^ "Former U.S. ambassador "95 percent certain" Saudi Arabia killed missing journalist Jamal Khashoggi". Retrieved 12 October 2018. ^ "Trump signs largest arms deal in American history with Saudi Arabia". The Week. 20 May 2017. ^ "Rand Paul wants to cut military aid to Saudis until missing journalist is found alive". Fox News. 11 October 2018. ^ "Are Saudi arms sales more important than a butchered journalist?". USA Today. 12 October 2018. ^ Trump reluctant to punish Saudis over reporter CNN Video. By "Inside Politics" reporting section. 13 October 2018. Retrieved 13 October 2018. ^ "Does Saudi Forensic Doctor Who Allegedly Dismembered Khashoggi Have Ties to University of New Haven?". Democracy Now!. 26 October 2018. ^ Peterson, Grif; Katz, Yarden (30 March 2018). "Elite universities are selling themselves – and look who's buying". the Guardian. ^ "American universities need to chop the hand that feeds them tyrants' cash". Spectator USA. 23 October 2018. ^ Finucane, Martin (22 October 2018). "MIT taking a look at its Saudi Arabia ties in wake of Jamal Khashoggi death". BostonGlobe.com. ^ Johnson, Steven (25 October 2018). "After the Killing of a Journalist, Colleges Confront Their Saudi Ties". The Chronicle of Higher Education. ^ Shi, Jessica (25 March 2018). "Saudi crown prince Mohammed bin Salman visits MIT". The Tech. Retrieved 18 February 2019. ^ "Saudi Crown Prince Visits Harvard | News | The Harvard Crimson". www.thecrimson.com. Retrieved 18 February 2019. ^ "MIT must cut ties with the Saudi government". The Tech. Retrieved 18 February 2019. ^ "Harvard Must Make Saudi Ties Public | Opinion | The Harvard Crimson". www.thecrimson.com. Retrieved 18 February 2019. ^ "President Reif responds to The Tech editorial | MIT Office of the President". president.mit.edu. Retrieved 18 February 2019. ^ Susan E. Rice (29 October 2018). "A Partner We Can't Depend On". The New York Times. ^ "Khashoggi murder: Turkey gives official details of Saudi writer's death". BBC News. 31 October 2018. Retrieved 1 November 2018. ^ William Booth (30 October 2018). "To shame a prince, activists want to rename street in front of Saudi embassy in D.C. 'Jamal Khashoggi Way'". Washington Post. Retrieved 5 November 2018. ^ a b "Saudi Prince Starts to Pay Political Price for Khashoggi Murder". Bloomberg. 1 November 2018. ^ Tim Wyatt. "Rename streets outside Saudi embassies after murdered journalist, campaigners say". The Independent. Retrieved 2 November 2018. ^ "Saudi crown prince: If Iran develops nuclear bomb, so will we". CBS News. 15 March 2018. ^ "Khashoggi's Killing Should Be a Nuclear Red Flag. The Saudis can't be trusted to enrich uranium and reprocess spent fuel". The Wall Street Journal. 28 October 2018. ^ "Secretary Pompeo's Call With Saudi Crown Prince Mohammed bin Salman". Secretary of State. 11 November 2018. ^ "Khashoggi murder: Pompeo tells crown prince the US will hold all involved accountable". The Guardian. 12 November 2018. ^ Gangel, Jamie; Gaouette, Nicole. "Pompeo warns Saudi prince his future as king is in peril over Khashoggi, source says". CNN. Retrieved 19 October 2018. ^ "Trump is reluctant to give up Saudi deals over Jamal Khashoggi's disappearance. So is Europe". The Washington Post. 15 October 2018. ^ "Trump says 'we have a tremendous order' with Saudi Arabia, doesn't want to cancel defense contracts 'as retribution' for Jamal Khashoggi's death". Business Insider. 19 October 2018. ^ "Why Won't Trump Condemn the Saudis?". The Intercept. 18 October 2018. ^ GOP senators urge consequences for Saudi Arabia, as Trump warns against rush to judgment Fox news. By Alex Pappas. 17 October 2018. Retrieved 20 October 2018. ^ Rand Paul: Saudi Statement 'Not Even Close to Credible', Congress Must Be Denouncing Their Behavior Mediaite. By Josh Feldman. 20 October 2018. Retrieved 20 October 2018. ^ Top Republican slams Trump's 'clampdown' on intelligence about missing journalist Khashoggi and calls on him to take a stand Business Insider. By Eliza Relman. 18 October 2018. Retrieved 20 October 2018. ^ Stelter, Brian (21 October 2018). "Washington Post publisher calls Saudi announcement on Khashoggi a 'coverup'". CNN Business. Retrieved 12 December 2018. ^ "In Post interview, Trump calls Saudi Crown Prince Mohammed a 'strong person' who 'truly loves his country'". Washington Post. 20 October 2018. Retrieved 28 October 2018. ^ Finnegan, Conor (21 October 2018). "Trump 'not satisfied' with Saudi response to Khashoggi killing, but not willing to risk arms sales". ABC News. Retrieved 22 October 2018. ^ Acosta, Jim; Cohen, Zachary; Kelly, Caroline (22 October 2018). "CIA Director Gina Haspel traveling to Turkey for Khashoggi investigation, source says". CNN. Retrieved 23 October 2018. ^ Allen, Jonathan (23 October 2018). "Trump calls aftermath of Khashoggi killing 'worst cover-up ever'". NBC. Retrieved 23 October 2018. ^ Nicholas, Peter; McBride, Courtney; Stancati, Margherita (23 October 2018). "U.S. Takes Diplomatic Action Against Saudis Believed Tied to Journalist's Killing". The Wall Street Journal. Retrieved 14 December 2018. ^ Rashad, Marwa; Kalin, Stephen; Paul, Katie (24 October 2018). "Saudi crown prince vows to bring Khashoggi killers to justice". Reuters. Retrieved 14 December 2018. ^ Borger, Julian; McKernan, Bethan (24 October 2018). "Khashoggi death: Saudi prince may have been involved, Trump says". The Guardian. Retrieved 14 December 2018. ^ Labott, Elise (17 November 2018). "CIA concludes Saudi crown prince ordered Jamal Khashoggi's death, sources say". CNN. Retrieved 22 November 2018. ^ "Trump names retired general John Abizaid to be ambassador to Saudi Arabia". Washington Post. Retrieved 14 November 2018. ^  CNBC Politics. By Kevin Breuninger. CNBC. 23 October 2018. Retrieved 23 October 2018. ^ "Treasury Sanctions 17 Individuals for Their Roles in the Killing of Jamal Khashoggi". US Government Treasury. PRESS RELEASES. Retrieved 15 November 2018. ^ "White House Digs Itself in Deeper on Khashoggi". Foreign Policy. 4 December 2018. ^ "Top Democrats accuse Trump of lying about CIA's Jamal Khashoggi report". The Guardian. 25 November 2018. ^ "Trump administration defends close Saudi ties as Senate moves to end US support for Yemen war". CNBC. 28 November 2018. ^ Julian Borger (4 December 2018). "US senators: We're certain Saudi crown prince ordered Khashoggi's murder". The Guardian. ^ Greg Myre (4 December 2018). "Senators: Saudi Crown Prince Was Behind Killing Of Jamal Khashoggi". NPR. ^ "See Lindsey Graham's scathing rebuke after CIA briefing". Youtube. CNN. 4 December 2018. ^ "After CIA Briefing, Lindsey Graham Ties Saudi Prince To Jamal Khashoggi Killing – Hardball". Youtube. MSNBC. 4 December 2018. ^ "Why Senate reaction to CIA Khashoggi briefing is 'unprecedented'". Youtube. PBS NewsHour. 4 December 2018. ^ ""Er ist gefährlich" US-Senatoren beschuldigen saudischen Kronprinz im Fall Khashoggi" ["He is dangerous" US Senators accuse Saudi Crown Prince in the Khashoggi case]. Der Spiegel. 4 December 2018. ^ "Saudi Prince Slams CIA Assessment Report on Khashoggi Murder". Bloomberg. 24 November 2018. ^ "Turkey urged to seek UN inquiry on Saudi journalist Jamal Khashoggi". IFEX. Retrieved 20 October 2018. ^ "Various international organisations brief the media on Jamal Khashoggi". Youtube. South African Broadcasting Corporation Digital News. Retrieved 18 October 2018. ^ a b "Urgent United Nations investigation needed, says Amnesty". Ekklesia. 19 October 2018. ^ a b c Tharanga Yakupitiyage (19 October 2018). "Don't 'Whitewash' Khashoggi's Murder". Inter Press Service. ^ "Turkey must seek UN inquiry on Khashoggi". Committee to Protect Journalists. 18 October 2018. ^ "Don't give S. Arabia 'licence to kill': Reporters without Borders". The Jakarta Post. Agence France-Presse. 20 October 2018. ^ "Statement attributable to the Spokesman for the Secretary-General on the death of Jamal Khashoggi". United Nations. 19 October 2018. Retrieved 26 October 2018. ^ "Saudis 'curtailed' Khashoggi probe - UN". 7 February 2019. Retrieved 7 February 2019 – via www.bbc.co.uk. ^ "OHCHR - Preliminary observations of the human rights inquiry into the killing of Mr. Kashoggi following the country visit to Turkey". www.ohchr.org. Retrieved 7 February 2019. ^ "Trudeau has 'real concerns' about disappearance of Saudi journalist Khashoggi". CBC News. Retrieved 20 October 2018. ^ "Freeland says Canada has 'worrying' questions for Saudis about Jamal Khashoggi". Global News. Retrieved 20 October 2018. ^ Canada, Global Affairs (20 October 2018). "Canada condemns killing of journalist Jamal Khashoggi". www.canada.ca. ^ "Trudeau holds out option of cancelling arms sale to Saudi Arabia over journalist's killing". CBC News. Retrieved 23 October 2018. ^ "Canada is selling fewer armoured vehicles to the Saudis than it planned". CBC News. Retrieved 23 October 2018. ^ a b "Trudeau's dilemma: how to be tough on Saudi Arabia and save jobs". Reuters. 1 November 2018. ^ a b c "Trudeau says Canadians expect 'consequences' for Khashoggi murder". CBC Canada. 24 October 2018. Retrieved 26 October 2018. ^ "Affaire Khashoggi: le directeur du SCRS a entendu un enregistrement du meurtre". Le Quotidien. 13 November 2018. ^ "G7 condemns Khashoggi's death, says Saudis must ensure no repeat". Reuters. 23 October 2018. Retrieved 25 October 2018. ^ a b c "Trump, Europeans call Saudi account of Khashoggi death inadequate". Reuters. Retrieved 21 October 2018. ^ "Declaration by the High Representative on behalf of the European Union on the recent developments on the case of Saudi journalist Jamal Khashoggi". consilium.europa.eu. European Union. Retrieved 28 October 2018. ^ "Austria calls for EU-wide halt in arms sales to Saudi Arabia". Reuters. 26 October 2018. Retrieved 27 October 2018. ^ "Affaire Khashoggi : Macron ne veut pas remettre en cause les ventes d'armes à Riyad". Le Monde (in French). 26 October 2018. Retrieved 27 October 2018. ^ "Europe may need to change Saudi policies over Khashoggi case – Merkel ally". Reuters. 17 October 2018. ^ "No arms for Riyadh while Khashoggi questions remain: Germany's Merkel". Reuters. 21 October 2018. Retrieved 23 October 2018. ^ a b "How Saudis are getting away with Khashoggi murder". News.com.au. 28 October 2018. ^ a b "Germany issuing travel bans to 18 Saudis over Khashoggi's death". Deutsche Welle. Retrieved 19 November 2018. ^ "Disagreement on reaction to Khashoggi murder – Norway Today". Norway Today. 21 October 2018. Retrieved 23 October 2018. ^ "Putin says US bears some responsibility for Khashoggi disappearance". The Times of India. 18 October 2018. ^ "Russia welcomes Turkey-Saudi investigation into Khashoggi case – Interfax". Reuters. 16 October 2018. ^ "British politicians show double standards over Khashoggi's case – Russian embassy". TASS. 23 October 2018. ^ "US shows double standard on Khasoogi disappearance: Russian envoy". The Jakarta Post. 17 October 2018. ^ a b "Need to keep jobs grounds for continuation of arms sales to Saudi Arabia, argues Spanish president". Catalan News. 24 October 2018. ^ a b "Spain, Japan react on killing of Saudi journalist". Retrieved 23 October 2018. ^ "Jeremy Hunt warns Saudis over Khashoggi disappearance". The Guardian. 9 October 2018. ^ "Jamal Khashoggi: Labour slams government's response as 'too little, too late'". The Guardian. 13 October 2018. ^ "European Governments Wrestle with Khashoggi Quandary". Voice of America News. 17 October 2018. ^ "Jamal Khashoggi: UK government considers 'next steps' as Saudi Arabia admits dissident journalist died in Istanbul consulate". The Independent. 20 October 2018. ^ Wintour, Patrick (19 October 2018). "Evidence suggests crown prince ordered Khashoggi killing, says ex-MI6 chief". the Guardian. Retrieved 19 October 2018. ^ "Turkey prosecutor grills Saudi consulate staff in Khashoggi probe". Retrieved 19 October 2018. ^ "Sir John Sawers on Khashoggi case: "Hard not to point finger at Saudi crown prince"". Channel 4 News. 19 October 2018. ^ McKernan, Bethan; Wintour, Patrick (22 October 2018). "Saudi king and prince phone Khashoggi's son to give condolences". The Guardian. Retrieved 22 October 2018. ^ "Jamal Khashoggi: Saudi journalist's body parts found, say Sky sources". ^ "Joint UK, France and Germany statement on Jamal Khashoggi's death". Government of the United Kingdom. Retrieved 21 October 2018. ^ "Jamal Khashoggi death: give us the facts, western countries tell Saudis". The Guardian. 21 October 2018. ^ "Jamal Khashoggi death: UK, France and Germany challenge Saudis". BBC. 21 October 2018. Retrieved 21 October 2018. ^ "What's behind the Arab silence over Khashoggi's fate?". Al-Jazeera. 13 October 2018. ^ a b c d e f g h "Middle East leaders back Saudi Arabia after Jamal Khashoggi's disappearance". Middle East Eye. 15 October 2018. ^ "Djibouti: Kingdom is essential pillar for security and stability of Arab and Islamic worlds". Saudi Press Agency. 14 October 2018. Retrieved 25 October 2018. ^ Lebanon's Hariri visits UAE as home crisis escalates, Reuters, "[Saad Hariri's] resignation has thrust Lebanon back into the frontline of the regional rivalry that pits a mostly Sunni bloc led by Saudi Arabia and allied Gulf monarchies against Shi'ite Iran and its allies." ^ "Jamal Khashoggi Wasn't the First – Saudi Arabia Has Been Going After Dissidents Abroad for Decades". The Intercept. 12 October 2018. ^ "S Arabia, US in difficult situation due to Khashoggi case". 19 October 2018. Retrieved 20 October 2018. ^ "PressTV-US, Saudi policies fueling tensions in Mideast: Nasrallah". Retrieved 20 October 2018. ^ "Ghunaimat: Jordan stands with Saudi Arabia against rumors". Roya News. 15 October 2018. Retrieved 25 October 2018. ^ "Jordanian government confirms its stand with Kingdom to confront any rumors aimed at it". Saudi Press Agency. 14 October 2018. Retrieved 25 October 2018. ^ "Kuwait supports Saudi against unlawful campaigns, accusations on Jamal Khashoggi's case". Kuwait News Agency. 15 October 2018. Retrieved 25 October 2018. ^ "Kuwait reiterates support of Saudi measures on Khashoggi affair". Kuwait News Agency. 24 October 2018. Retrieved 25 October 2018. ^ "Mauritania Denounces Malicious Campaign, related to Incident of Citizen Khashoggi Disappearance". Saudi Press Agency. 16 October 2018. Retrieved 25 October 2018. ^ "Mauritania appreciates decisions of Custodian of the Two Holy Mosques following the death of Khashoggi". Saudi Press Agency. 21 October 2018. Retrieved 25 October 2018. ^ "King Mohammed VI Snubs Saudi Crown Prince Mohammed bin Salman". Morocco World News. 27 November 2018. ^ "Is a silent crisis simmering beneath Morocco and Saudi ties?". TRt World. 27 November 2018. ^ "Oman issues statement on Saudi investigation of journalist's disappearance". Times of Oman. 21 October 2018. Retrieved 25 October 2018. ^ "Saudi journalist's killing 'a wake-up call': Qatar". Gulf Times. 23 October 2018. Retrieved 25 October 2018. ^ "Qatar hopes Khashoggi's death will be wakeup call for countries dealing with Saudis". The Globe and Mail. 22 October 2018. Retrieved 25 October 2018. ^ "Saudi Prince to Face Protest Over Khashoggi on Tunisia Visit". Bloomberg. 26 November 2018. ^ "Saudi Crown Prince Visits Tunisia Amid Khashoggi Protests". The New York Times. 27 November 2018. ^ "Billionaire Saudi prince hit by backlash". PerthNow. 27 November 2018. Retrieved 7 February 2019. ^ "Tunisian activists protest against Saudi Crown prince visit". 26 November 2018. Retrieved 7 February 2019 – via af.reuters.com. ^ PM, Tom O'Connor On 11/26/18 at 6:18 (26 November 2018). "Saudi crown prince has been depicted with chainsaw as Arab journalists protest his first trip since Khashoggi's death". Newsweek. Retrieved 7 February 2019. ^ "UAE hails decisions taken by Saudi Arabia in Khashoggi case". Khaleej Times. 21 October 2018. ^ "South Africa expresses concern regarding the disappearance of Saudi journalist Jamal Khashoggi". dirco.gov.za. ^ "China: Killing of journalist Khashoggi 'unfortunate'". Yeni Şafak. 25 October 2018. ^ "The Latest: Mnuchin meets with embattled Saudi crown prince". Retrieved 23 October 2018. ^ "Taking stances on Khashoggi's murder a great test for so-called human rights advocates". Official website of the President of the Islamic Republic of Iran. 24 October 2018. ^ "Rouhani: Khashoggi's murder big test for HR so-called advocates". Islamic Republic News Agency. 24 October 2018. ^ "Iran: Riyadh would not have murdered Khashoggi without U.S. protection". Reuters. 24 October 2018. ^ Javad Zarif (24 October 2018). "To deflect from headlines on Saudi brutality in Istanbul and across Yemen, US Treasury – while in Saudi Arabia, no less – sanctions Iran for "supporting" anti-Iran Taliban". Twitter. Retrieved 24 October 2018. ^ "Iran accuses U.S. of imposing more sanctions "deflect" attention from Khashoggi killing". Reuters. 24 October 2018. ^ "Saudi Arabia must be dropped from UNHRC: Amir-Abdollahian". Iranian Students News Agency. 22 October 2018. Retrieved 26 October 2018. ^ "Iran MP calls for 'trying' Riyadh over Khashoggi murder". Anadolu Agency. 26 October 2018. ^ "Khashoggi murder proves Western human rights is a mirage: grand ayatollah". Tehran Times. 24 October 2018. Retrieved 27 October 2018. ^ "Netanyahu: Khashoggi killing was 'horrendous', but Saudi stability is paramount". Times of Israel. 2 November 2018. ^ "Israel's US envoy says Turkey, Qatar attempting to 'ruin' Saudi-US relationship". Al Arabiya. 4 November 2018. ^ Tang, Ashley (22 October 2018). "Dr M: Khashoggi's killing extremely cruel, unacceptable". The Star. ^ Smee, Ben (21 October 2018). "Scott Morrison 'deplores' killing of Saudi journalist Jamal Khashoggi". The Guardian. Retrieved 23 October 2018. ^ Peters, Winston; Parker, David (21 October 2018). "Death of Jamal Khashoggi". Beehive.govt.nz. New Zealand Government. Retrieved 23 October 2018. ^ "Argentina prosecutors considering charges against Mohammed bin Salman at G20". The Guardian. 27 November 2018. ^ "Argentinian government urges Buenos Aires residents to leave city for G20". The Guardian. 28 November 2018. ^ "Human Rights Watch calls for investigation of Crown Prince Mohammed bin Salman". Deutsche Welle. 27 November 2018. ^ "G20: Saudi Crown Prince Faces Legal Scrutiny Human Rights Watch Files with Argentine Federal Prosecutor". hrw.org. 26 November 2018. ^ "Human Rights Watch pide a Argentina que investigue al príncipe saudí por el asesinato de Jamal Khashoggi" [Human Rights Watch asks Argentina to investigate the Saudi prince for the murder of Jamal Khashoggi]. Diario Público (in Spanish). 27 November 2018. ^ "El asesinato de un periodista del Washington Post – Llegó al país el príncipe saudita: los próximos pasos de la Justicia argentina ante la denuncia en su contra" [The murder of a Washington Post journalist – The Saudi prince arrived in the country: the next steps of the Argentine Justice before the denunciation against him]. Clarín (in Spanish). 27 November 2018. ^ "Anzeige gegen saudischen Kronprinzen" [Criminal charges against Saudi Crown Prince]. Frankfurter Allgemeine Zeitung (in German). 27 November 2018. ^ "Argentine judge seeks help from Turkey on Prince Salman's involvement in Khashoggi murder". Hürriyet. 29 November 2018. ^ "¿Se esconde en su embajada el príncipe saudí?" [Does the Saudi prince hide in his embassy?]. La Nacion. 29 November 2018. ^ Branson, Richard (11 October 2018). "My Statement on the Kingdom of Saudi Arabia". Virgin.com. Virgin. Retrieved 23 October 2018. ^ Arnold, Tom. "SoftBank's Son cancels Saudi conference speech: sources". Retrieved 31 October 2018. ^ a b "Bahrain minister backs boycott of Uber over Khashoggi case". Reuters. 15 October 2018. ^ "Executive exodus: Jamie Dimon and other top CEOs quit Saudi conference". CNN. Retrieved 15 October 2018. ^ "Google latest to withdraw from Saudi conference". Reuters. Retrieved 15 October 2018. ^ "Saudi event still on as more companies withdraw over Khashoggi". Al-Jazeera. 12 October 2018. ^ "Ford Motor chairman cancels visit to Saudi investor conference". Reuters. 14 October 2018. ^ "Some Silicon Valley Superstars Ditch Saudi Advisory Board After Khashoggi Disappearance, Some Stay Silent". The Intercept. 12 October 2018. ^ "Siemens CEO Kaeser says he will not attend Saudi investment conference". Reuters. 22 October 2018. ^ Kaeser, Joe (22 October 2018). "A decision to make – and what really matters". ^ "US treasury secretary joins those skipping Saudi Arabia's 'Davos in the desert'". ^ "Canada joins other high profile figures in skipping Saudi investment summit". Global News. Retrieved 20 October 2018. ^ "'Davos in the Desert' faces more cancellations over Khashoggi". Al-Jazeera. 15 October 2018. ^ "Senators Urge WWE to 'Pause' Upcoming Saudi Arabia Event". 12 October 2018. ^ "Glenn Jacobs, aka 'Kane', still planning on Saudi Arabia trip amid questions about journalist Jamal Khashoggi's fate". Knoxville News Sentinel. Retrieved 16 October 2018. ^ Silverstein, Adam; Campbell, Brian (25 October 2018). "WWE confirms Crown Jewel event in Saudi Arabia will go on as scheduled on Nov. 2". CBS Sports. ^ "Crown Jewel ticket on sale date comes & goes as Saudis confirm Khashoggi's death". ^ a b Dahan, Nadine (1 February 2018). "Famous Saudi doctor moved to high-security jail, source says". middleeasteye.net. middleeasteye. Retrieved 16 March 2019. ^ a b c "Saudi Arabia tortured US citizen: Report". aljazeera.com. Aljazeera. 3 March 2019. Retrieved 16 March 2019. ^ a b c Kirkpatrick, David D. (2 March 2019). "Saudi Arabia Is Said to Have Tortured an American Citizen". nytimes.com. nytimes. Retrieved 17 March 2019. ^ Chris Bell; Alistair Coleman (18 October 2018). "Bot campaign follows Khashoggi disappearance". Retrieved 19 October 2018 – via www.bbc.com. ^ "Twitters suspends accounts appearing to smear Jamal Khashoggi". 19 October 2018. Retrieved 19 October 2018. ^ "Gates Foundation halts cooperation with Saudi crown prince's nonprofit after Khashoggi killing". CNBC. 1 November 2018. Retrieved 10 November 2018. ^ a b c Rampel, Catherine (19 April 2019). "How long does outrage over a murder last? On Wall Street, six months". The Washington Post. Retrieved 19 April 2019. ^ Dexter Filkins (2 November 2018). "In the Aftermath of Jamal Khashoggi's Murder, Saudi Arabia Enters a Dangerous Period". The New Yorker. Killing Jamal Khashoggi: How a Brutal Saudi Hit Job Unfolded – Visual Investigations, The New York Times (YouTube), 16 November 2018.